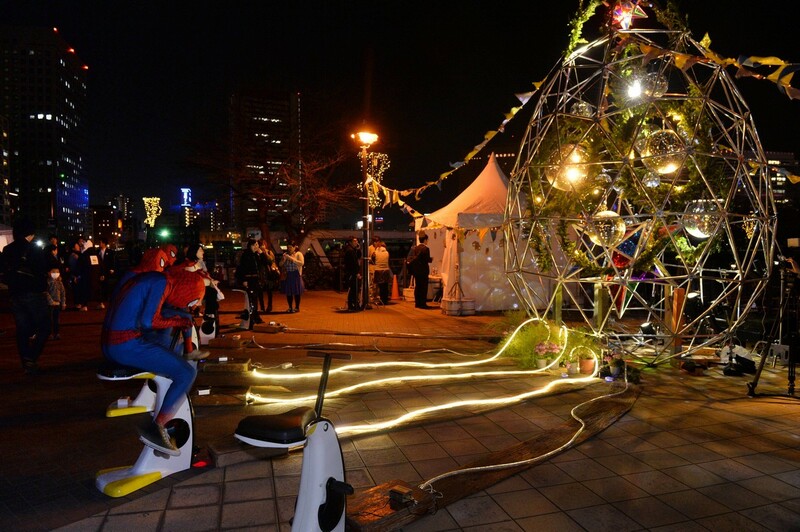 YOKOHAMA, Japan - Soaring carbon emissions will amplify the risk of conflict, hunger, floods and migration this century, the UN's expert panel said Monday in a landmark report on the impact of climate change. 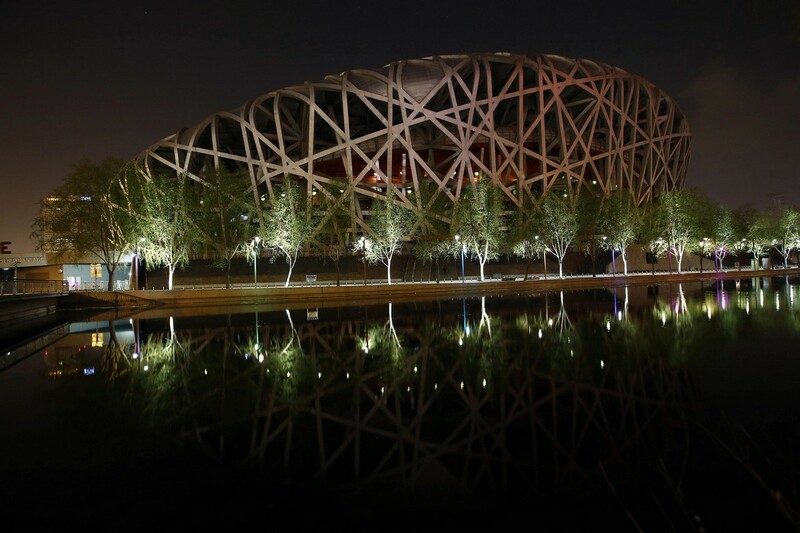 Left unchecked, greenhouse gas emissions may cost trillions of dollars in damage to property and ecosystems and in bills for shoring up climate defences, it said. 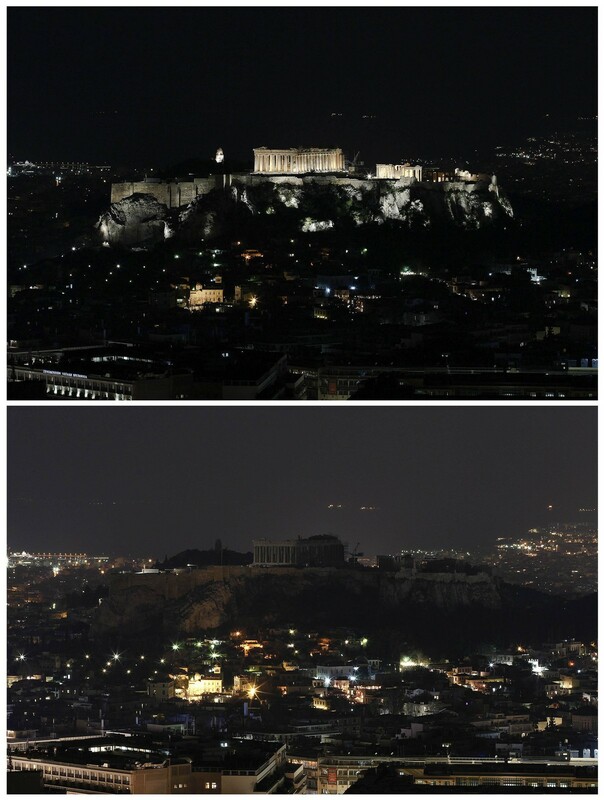 The report said the impact of climate change was already being felt and would increase with every additional degree that temperatures rose. 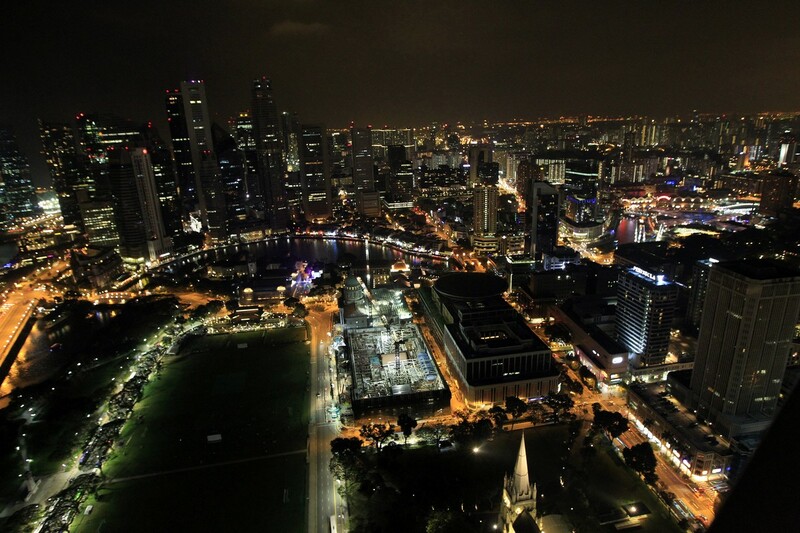 "Increasing magnitudes of warming increase the likelihood of severe, pervasive, and irreversible impacts," a summary said, in a stark message to policymakers. 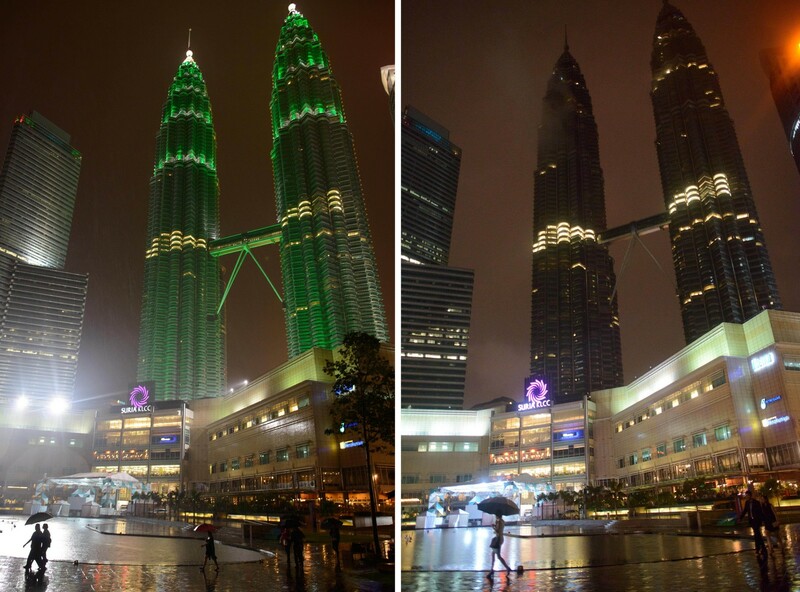 The report is the second chapter of the fifth assessment by the Intergovernmental Panel on Climate Change (IPCC), set up in 1988 to provide neutral, science-based guidance to governments. 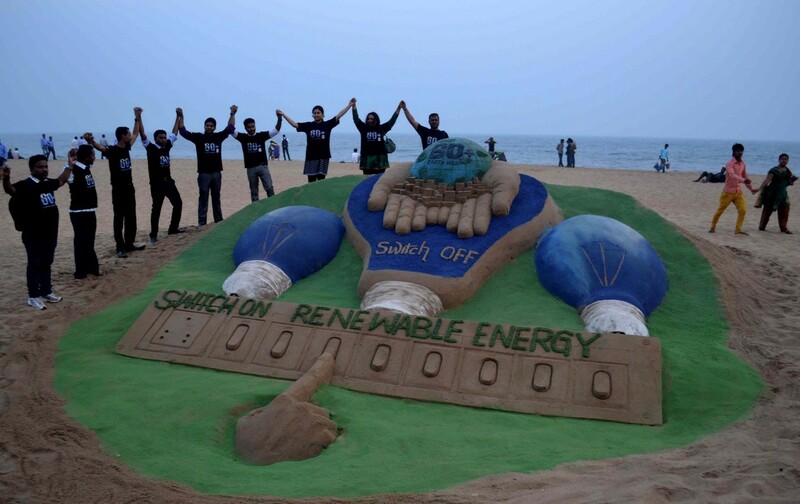 "It's a toolkit for managing climate change, but it also provides a framework for understanding, a mindset for understanding climate change and its implications," Chris Field of the Carnegie Institution, co-chairman of the group of scientists who authored the document, told AFP. 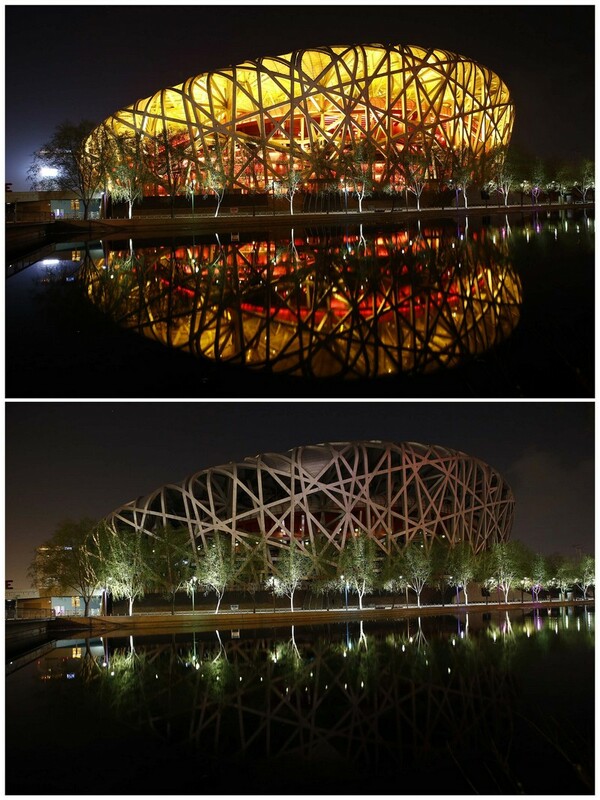 These hefty documents - running to thousands of pages - have a political impact that can resound for years. 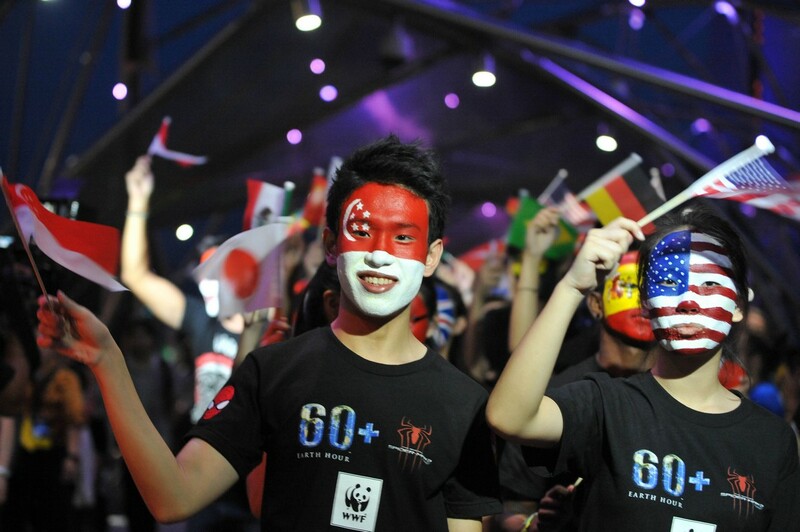 The last overview, published in 2007, earned the panel a co-share in the Nobel Peace Prize and unleashed a wave of political action that strived, but failed, to forge a worldwide treaty on climate change in Copenhagen in 2009. 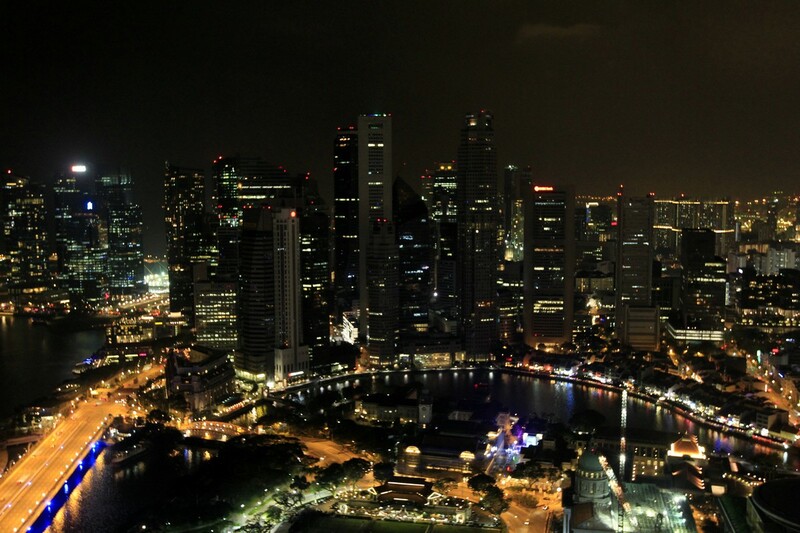 The new document, unveiled in Yokohama after a five-day meeting, gives the starkest warning yet by the IPCC of extreme consequences from climate change, and delves into greater detail than ever before into the impact at regional level. 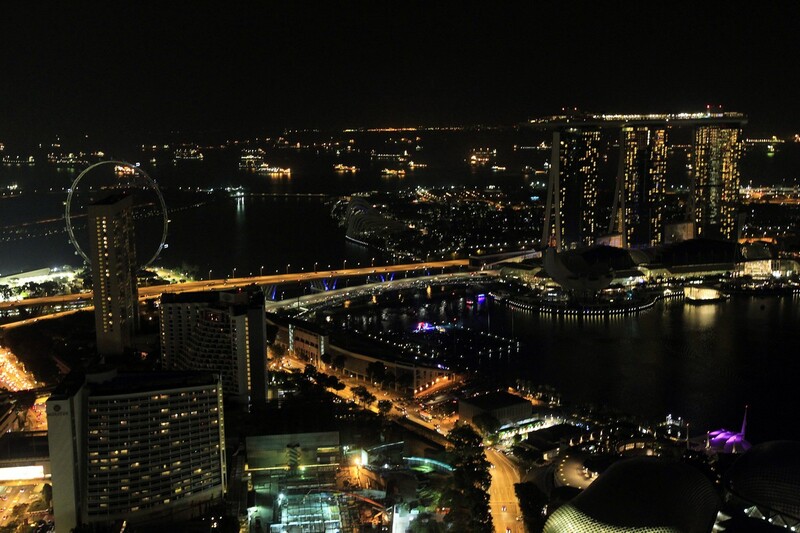 It builds on previous IPCC forecasts that global temperatures will rise 0.3-4.8 degrees Celsius (0.5-8.6 degrees Fahrenheit) this century, on top of roughly 0.7 Celsius since the Industrial Revolution. 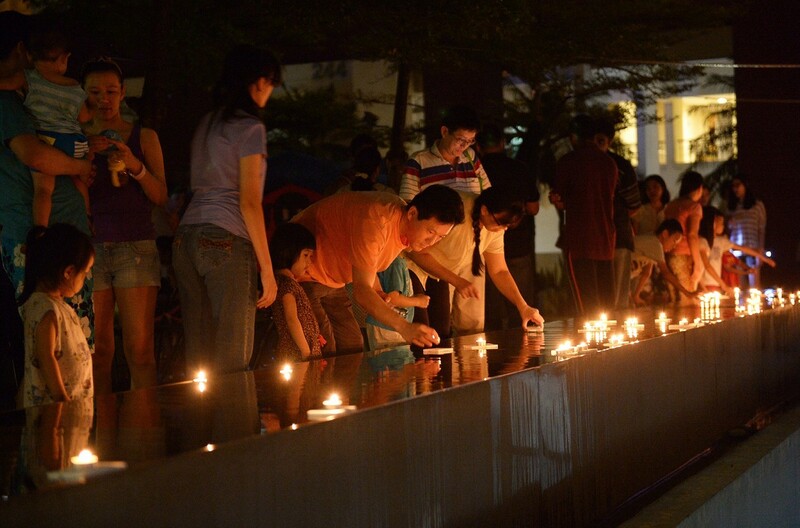 Seas will rise by 26-82 centimetres (10-32 inches) by 2100. 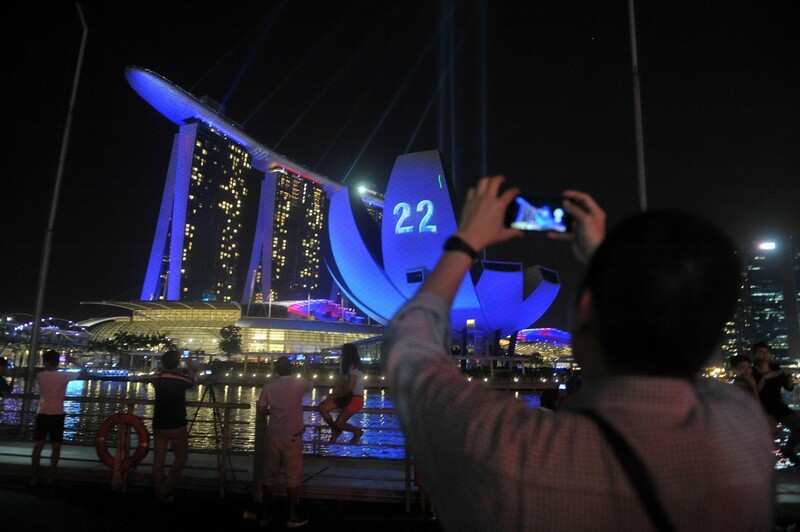 Warming of around two degrees Celsius over pre-industrial times may cost 0.2-2.0 per cent of global annual income, said the new report. 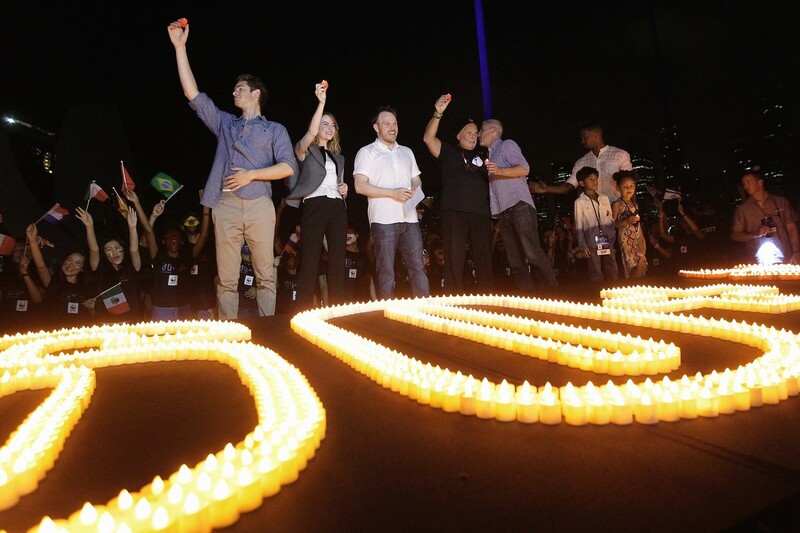 UN members have pledged to hammer out a global pact by the end of 2015 to limit warming to 2 C.
Singapore’s celebration of the Earth Hour 2014 with members of the public joined by Spider-Man (Earth Hour Superhero Ambassador), Andrew Garfield, Emma Stone, and Jamie Foxx from The Amazing Spider-Man 2, in switching off the lights across Singapore’s Marina Bay skyline. 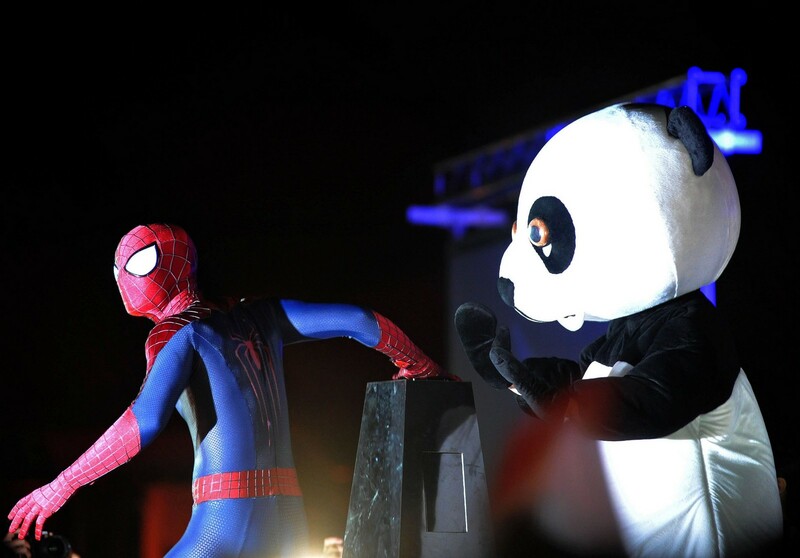 A performer dressed as Spiderman and the WWF panda mascot prepare to turn off the lights from a floating platform for Earth Hour in Singapore on March 29, 2014. 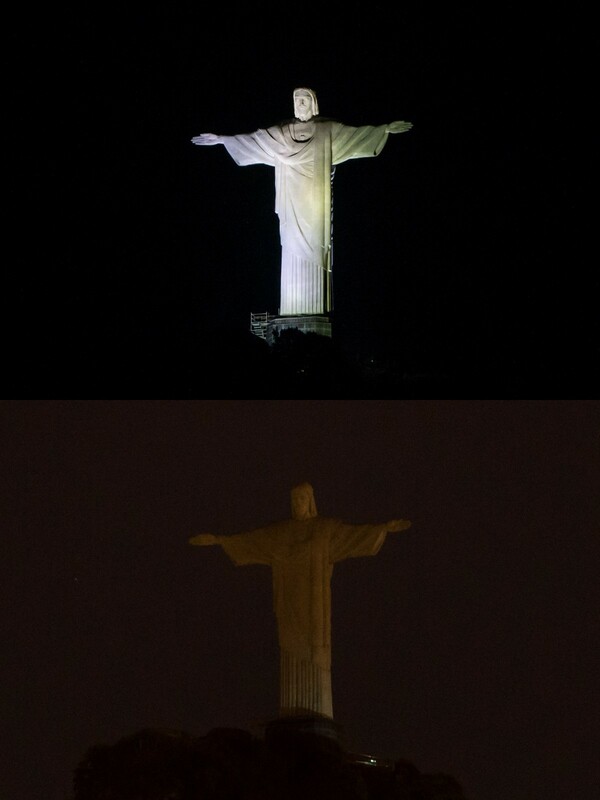 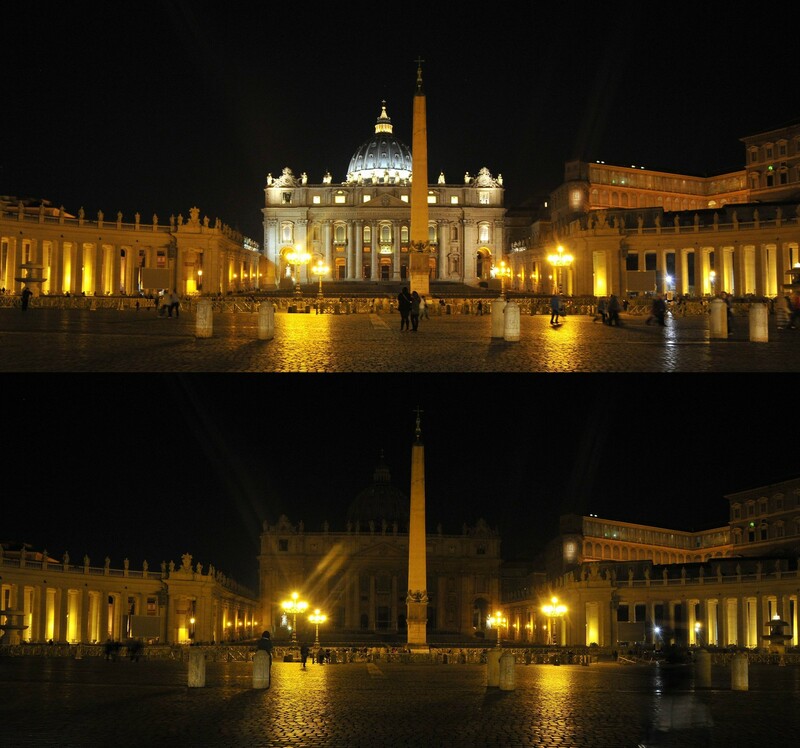 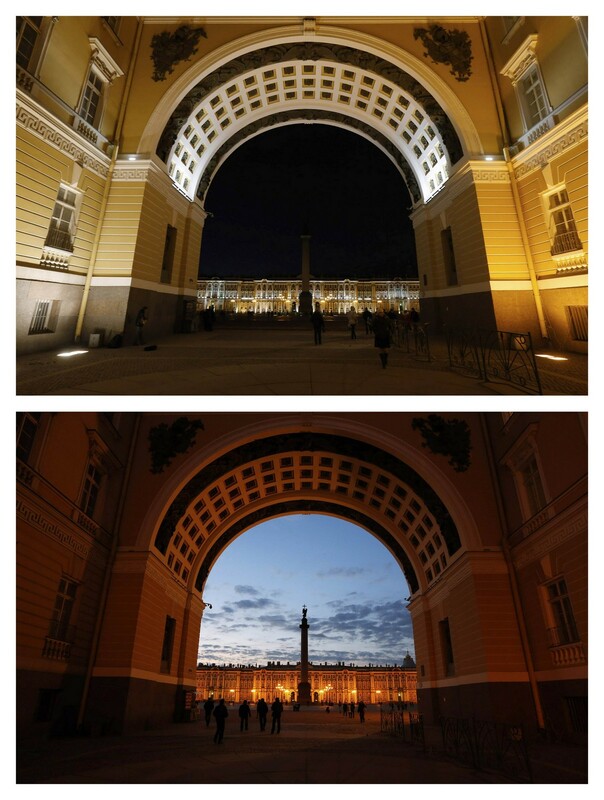 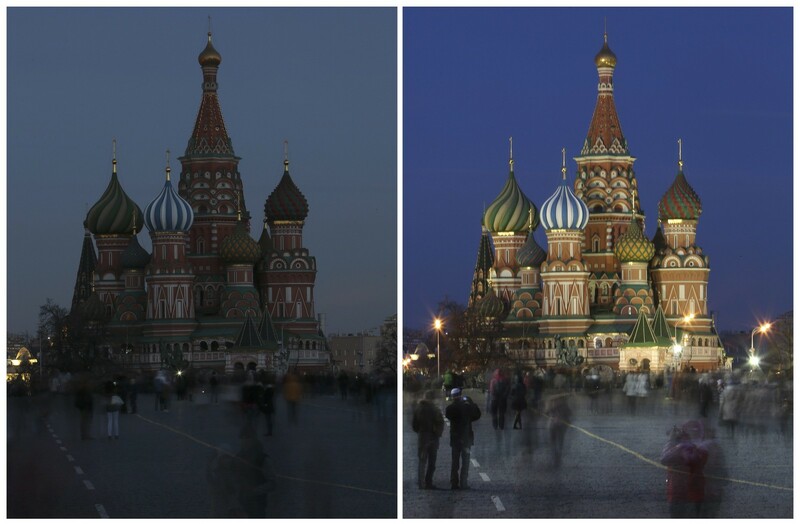 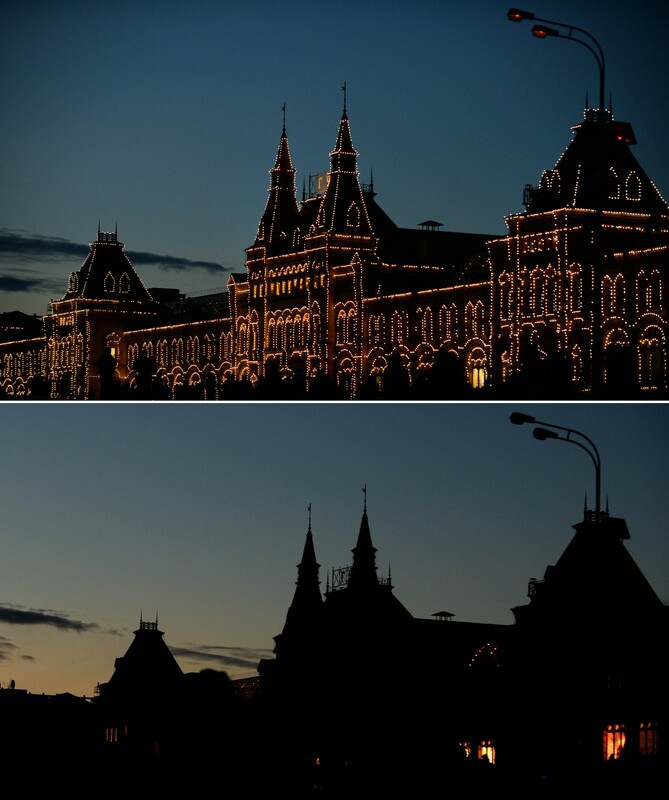 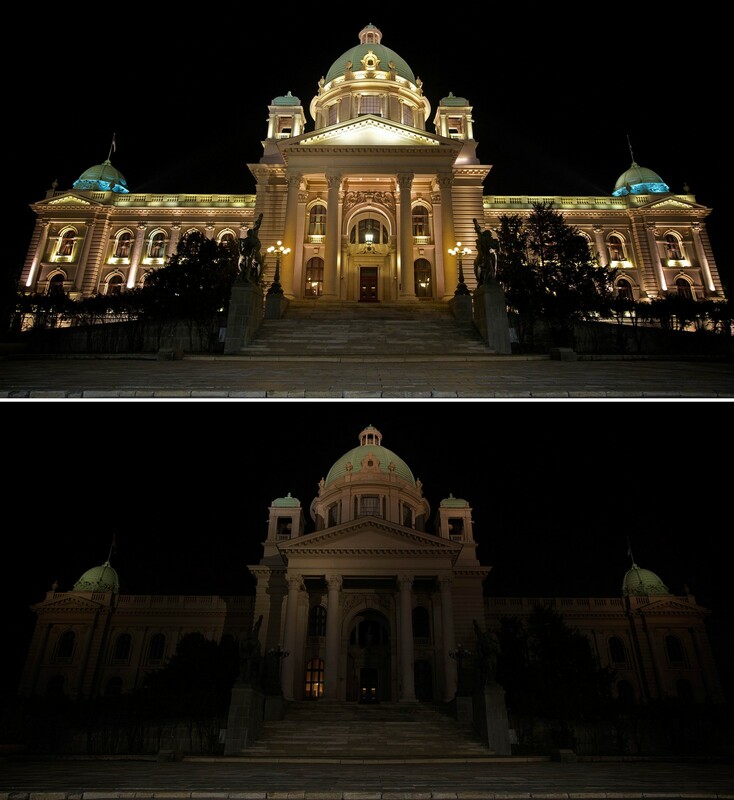 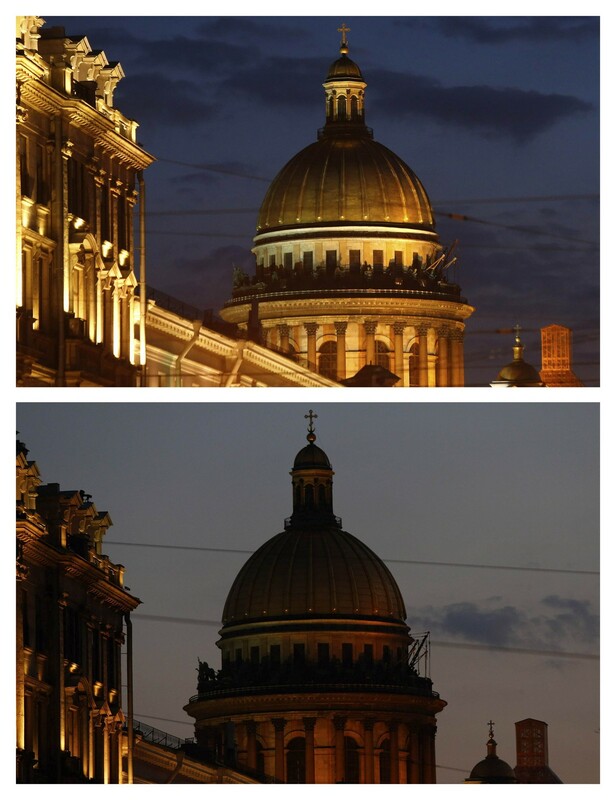 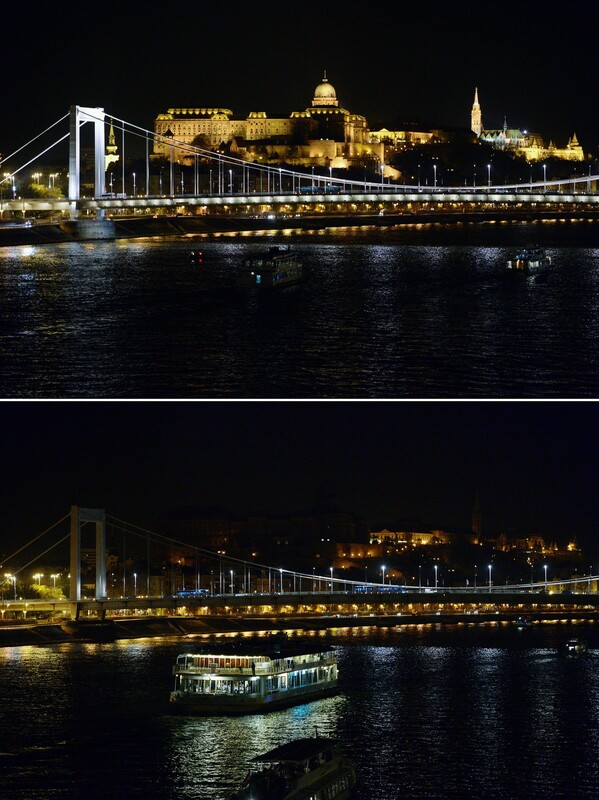 A combination photo shows Saint Isaac's Cathedral after (top) and during Earth Hour in St. Petersburg March 29, 2014. 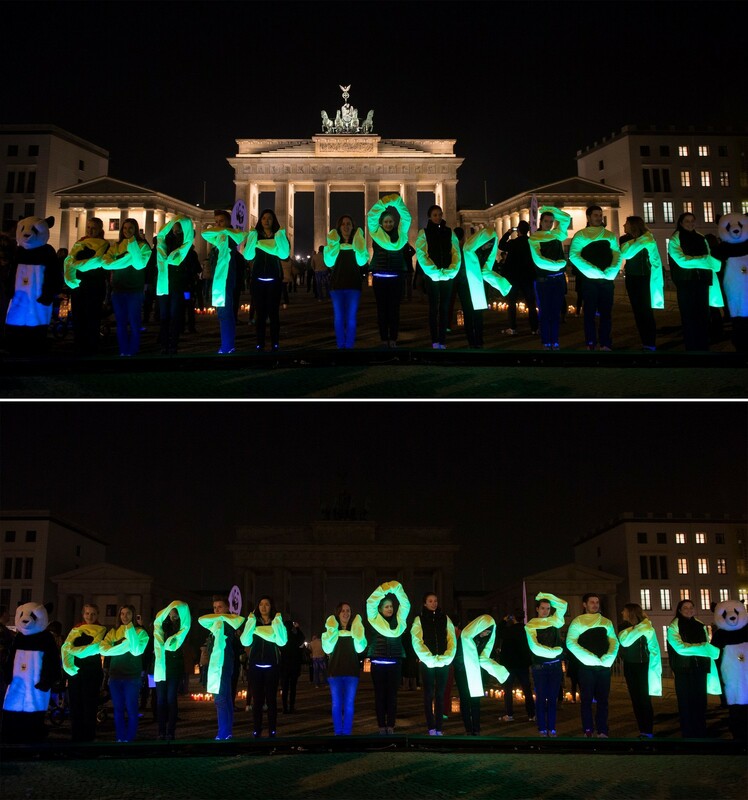 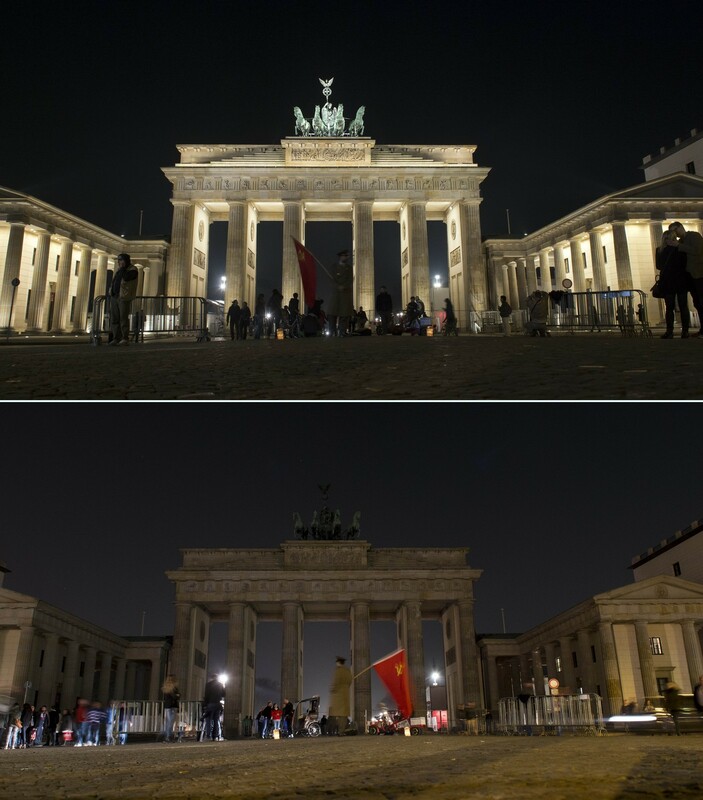 A combo shows the Brandenburg Gate submerging into darkness during the Earth Hour environmental campaign in March 29, 2014 in Berlin. 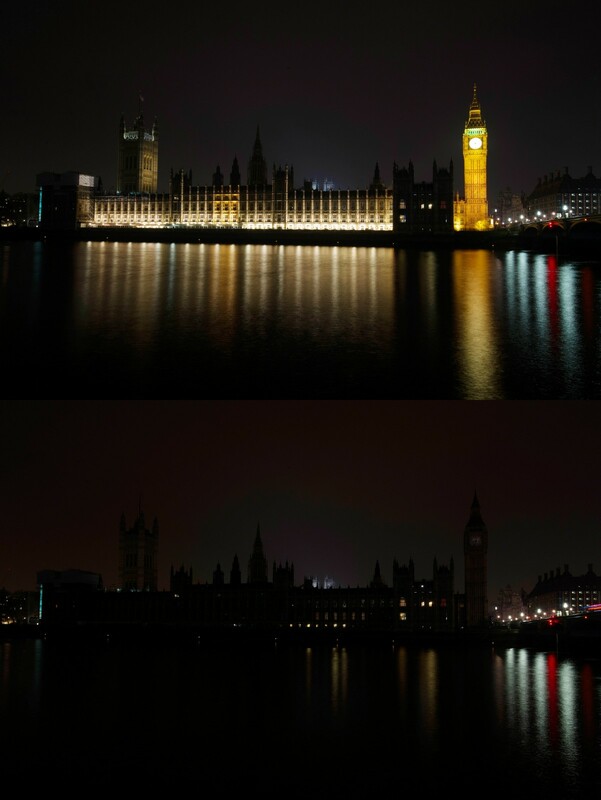 This combination picture taken on March 29, 2014 shows the Houses of Parliament in central London illuminated as normal (top) and with the out to mark Earth Hour. 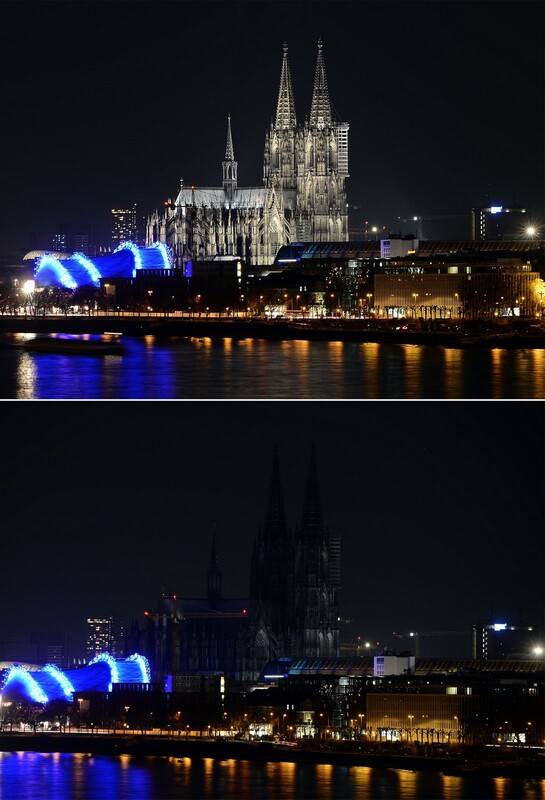 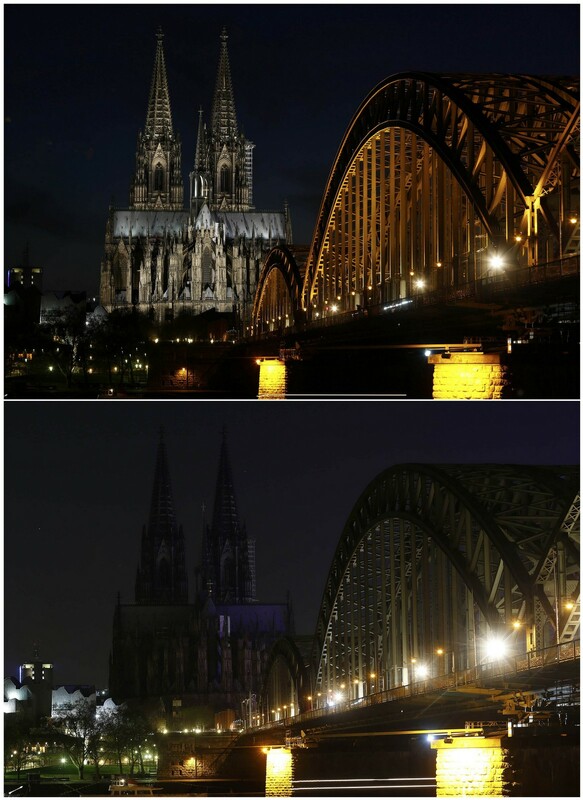 A combo picture shows the dome in Cologne during the the Earth Hour environmental campaign on March 29, 2014 in Cologne, western Germany. 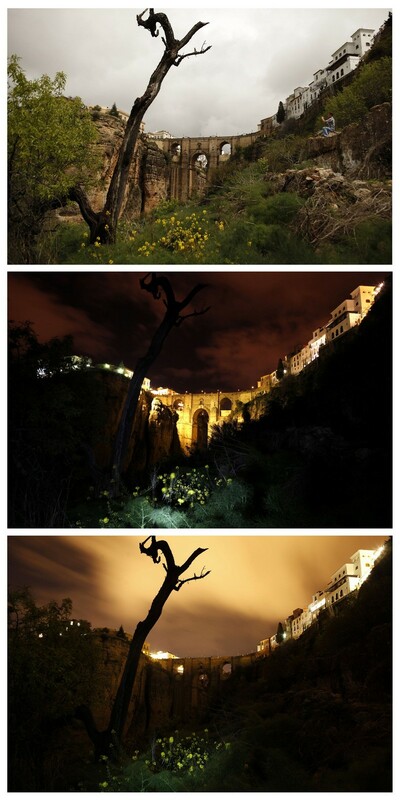 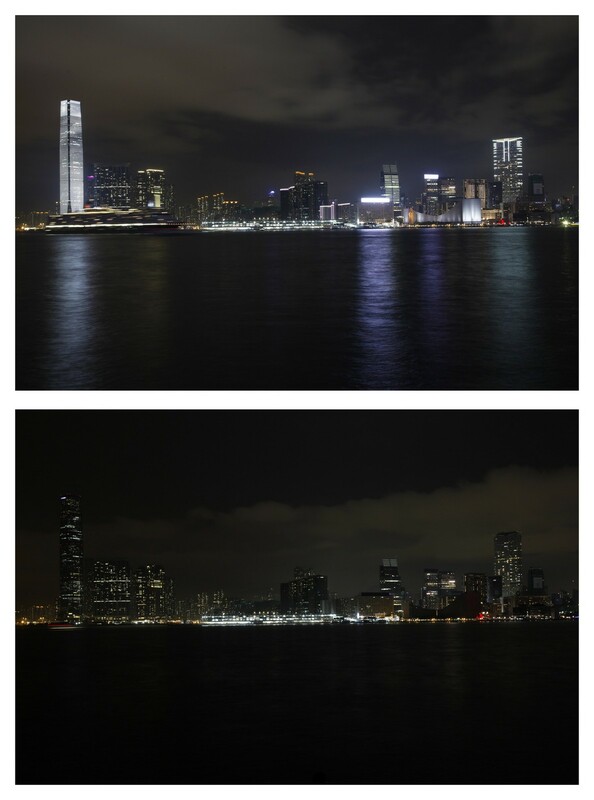 Lights went off in thousands of cities and towns across the world on Saturday for the annual Earth Hour campaign, which is aiming to raise money via the Internet for local environmental projects. 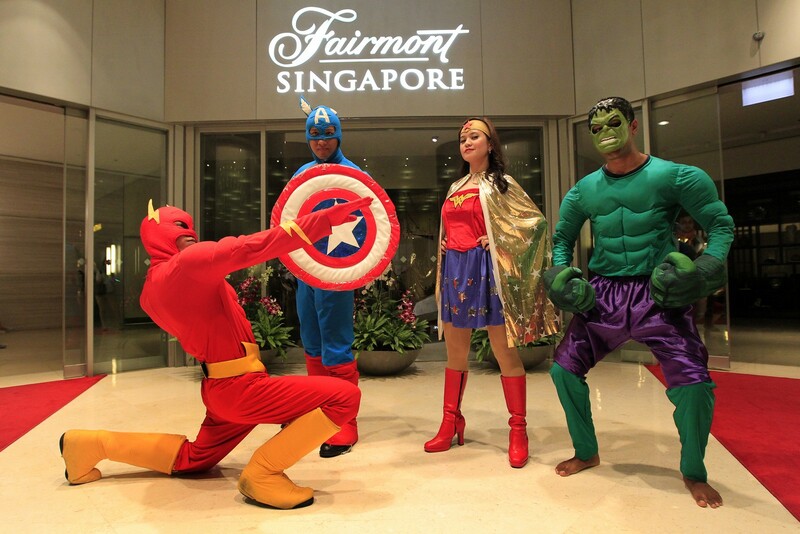 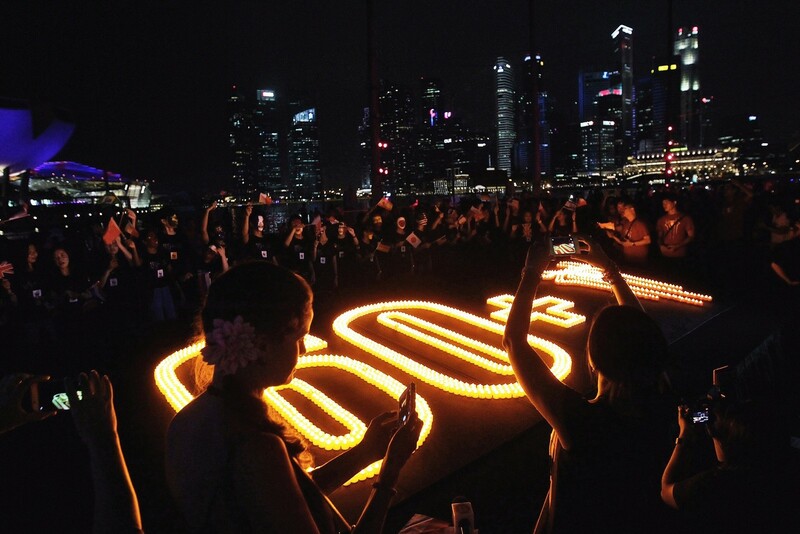 The Singapore-based campaign by conservation group WWF was boosted by Hollywood star power. 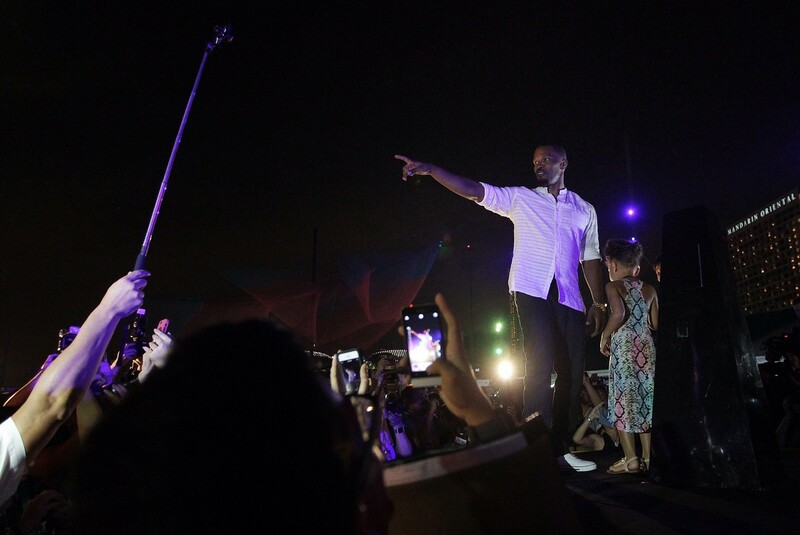 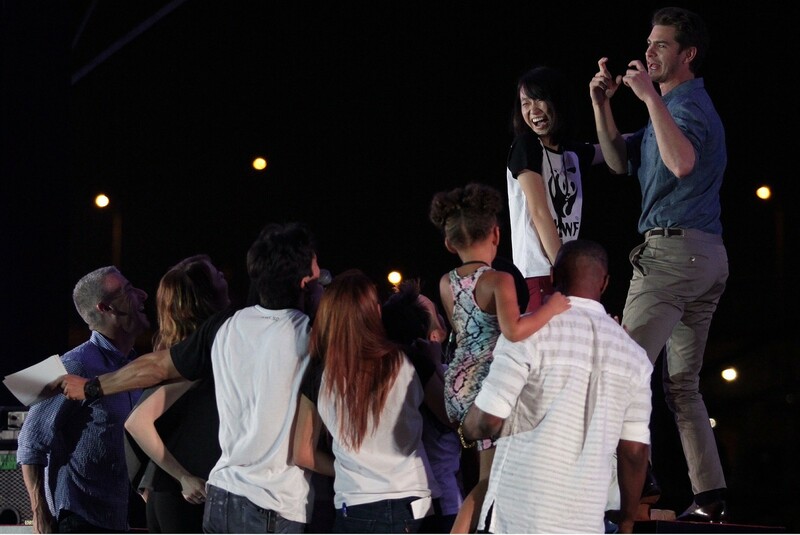 "The Amazing Spiderman-2" stars Andrew Garfield, Emma Stone and Jamie Foxx led ceremonies at the city-state's Marina Bay district. 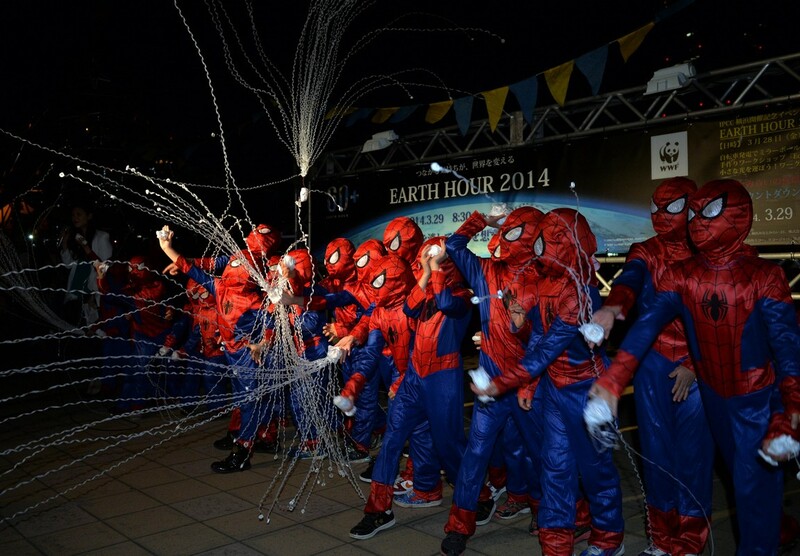 Comic-book hero Spiderman is this year's "ambassador" for Earth Hour, which was launched in Sydney in 2007. 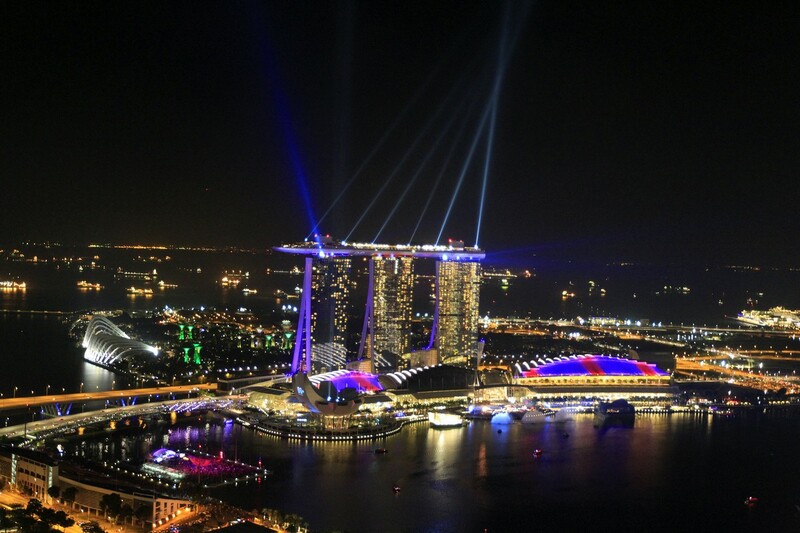 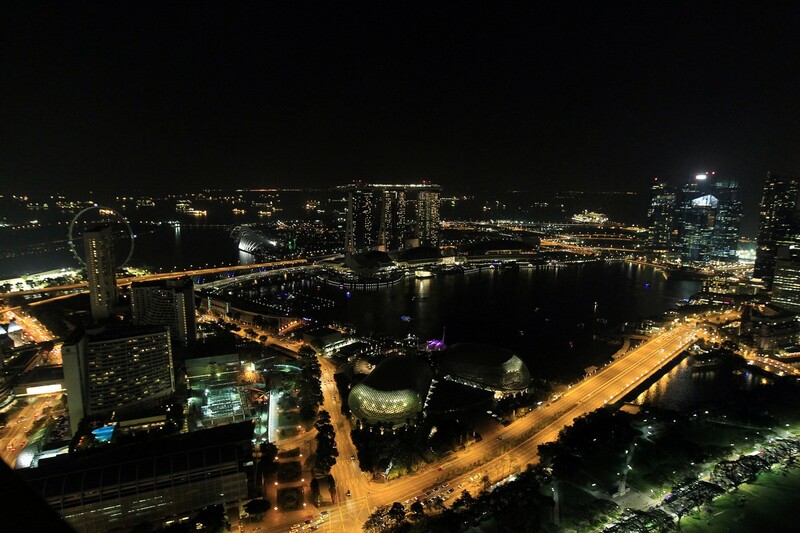 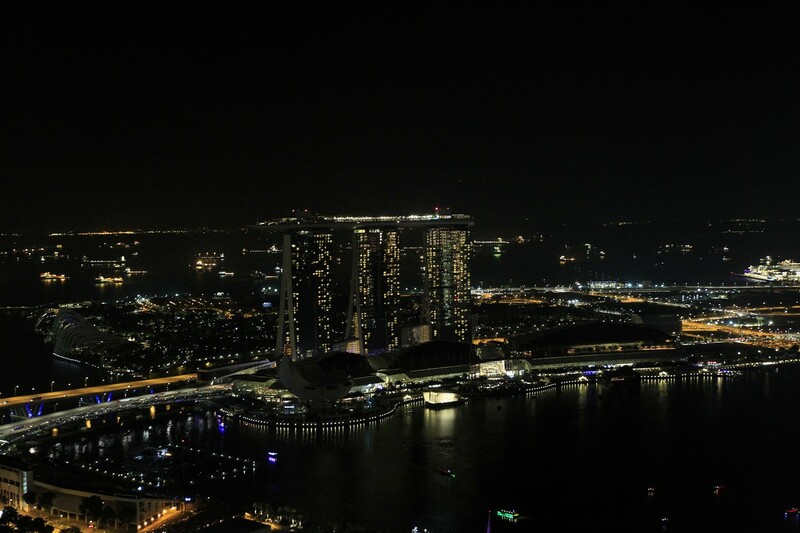 The lights went out across the Marina Bay skyline on Saturday evening, allowing Singapore to see the stars.. .of more kinds than one. 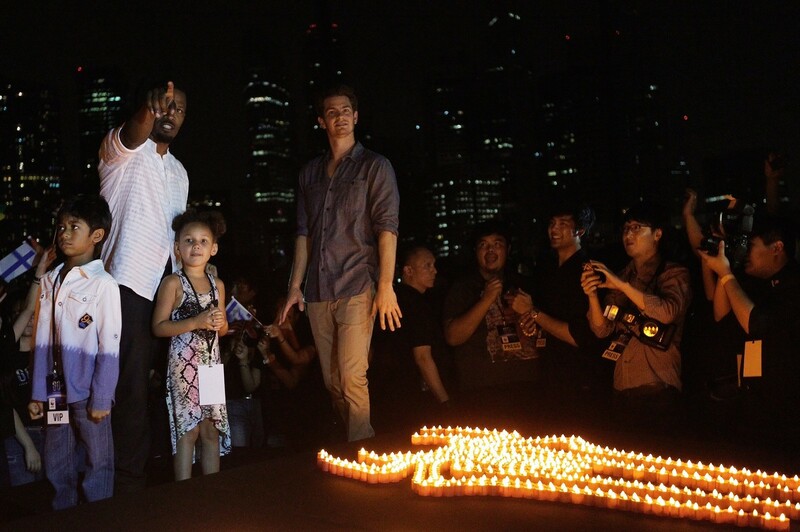 Amazing Spider-Man 2 cast members Andrew Garfield, Emma Stone and Jamie Foxx were at The Float@Marina Bay to lead the switch-off to mark Earth Hour - a global campaign to reduce carbon footprint. 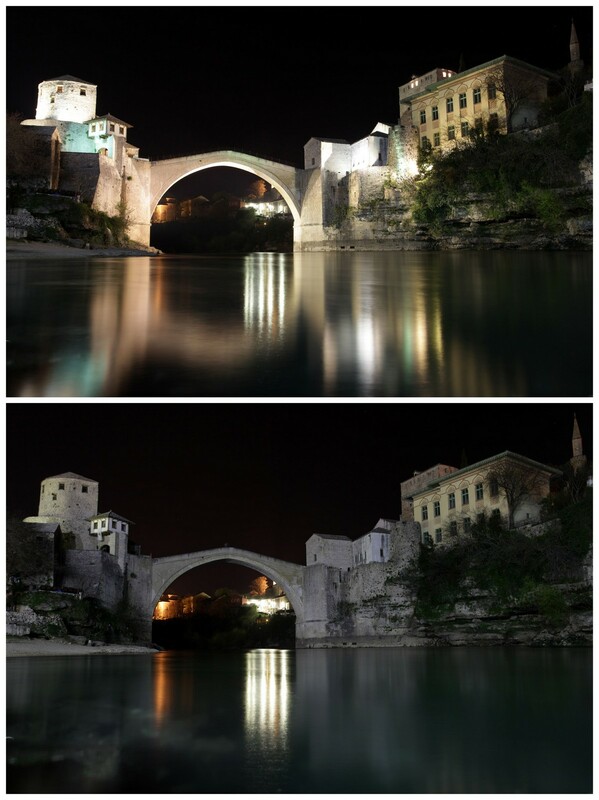 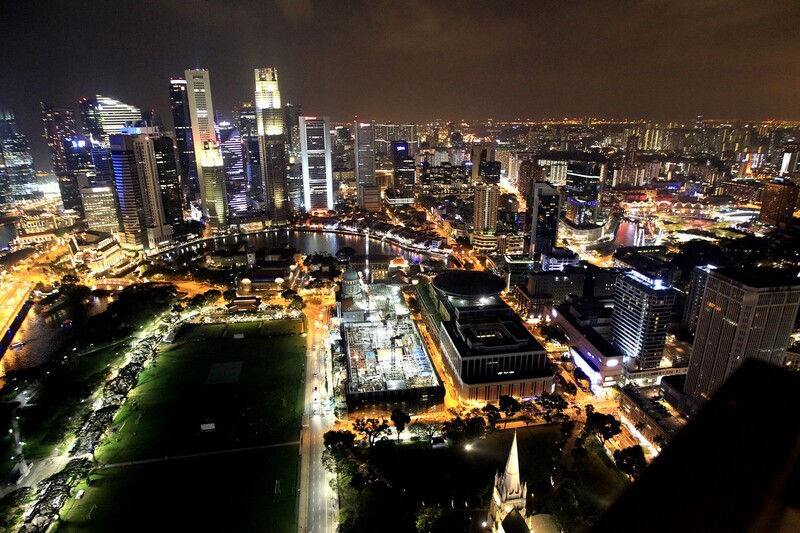 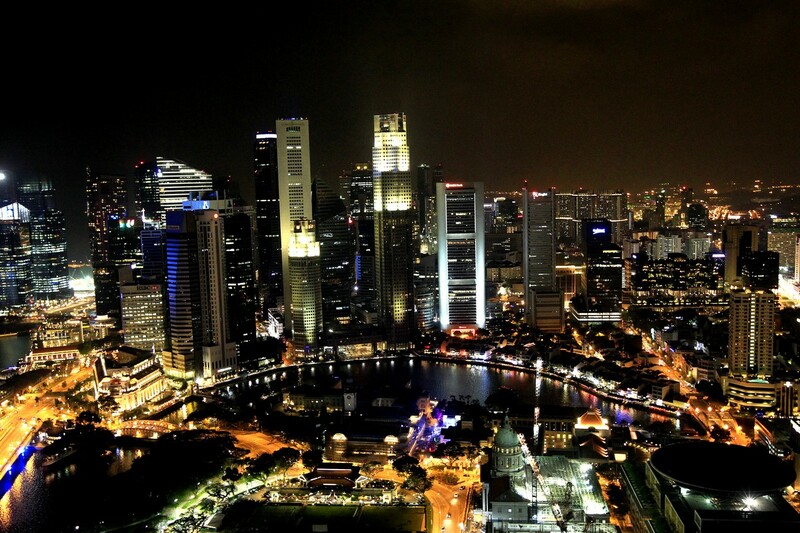 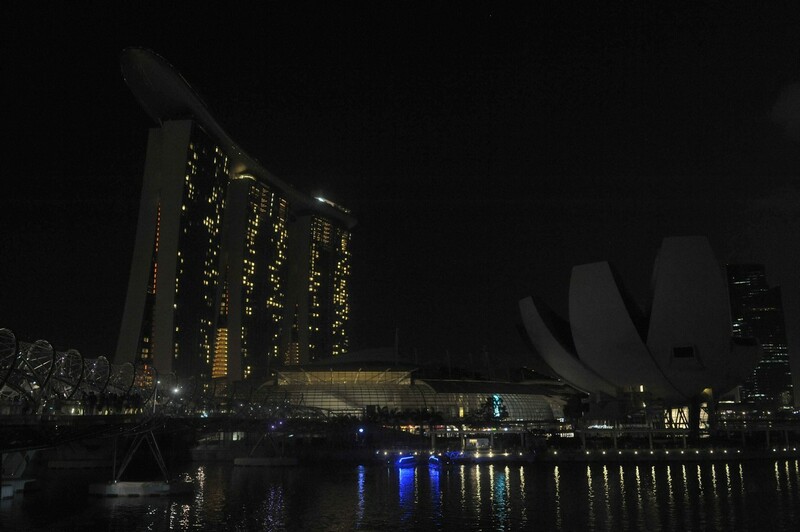 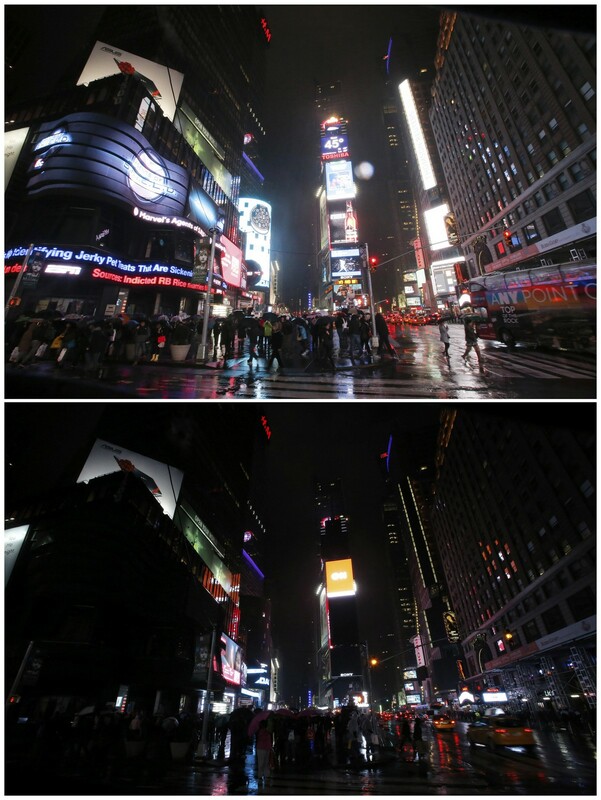 Elsewhere, various hotels and malls also went dark between 8.30pm and 9.30pm. 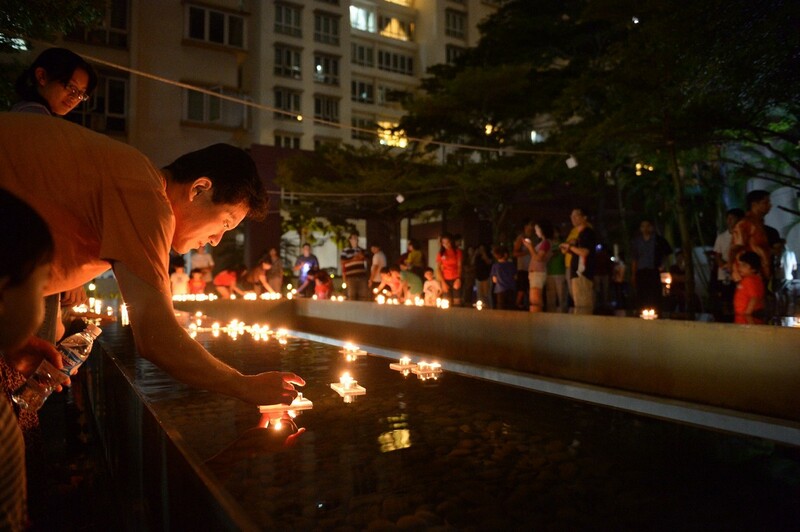 Supermarket chain FairPrice turned off non-essential lights at its 120 outlets. 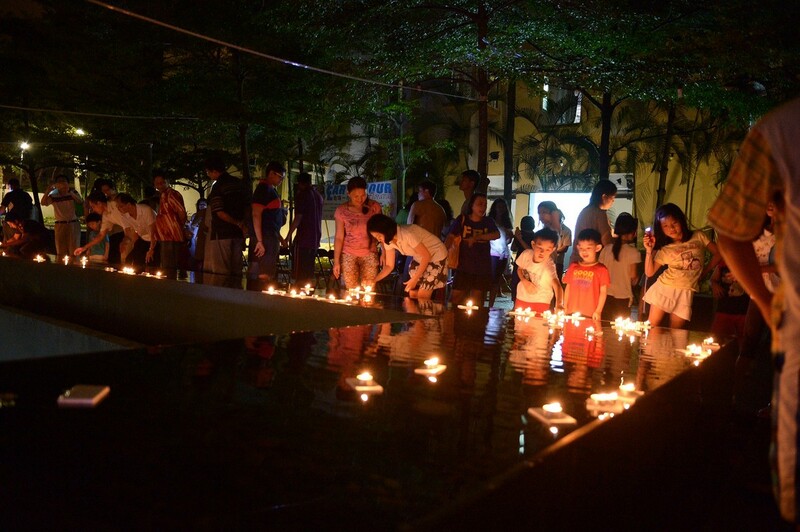 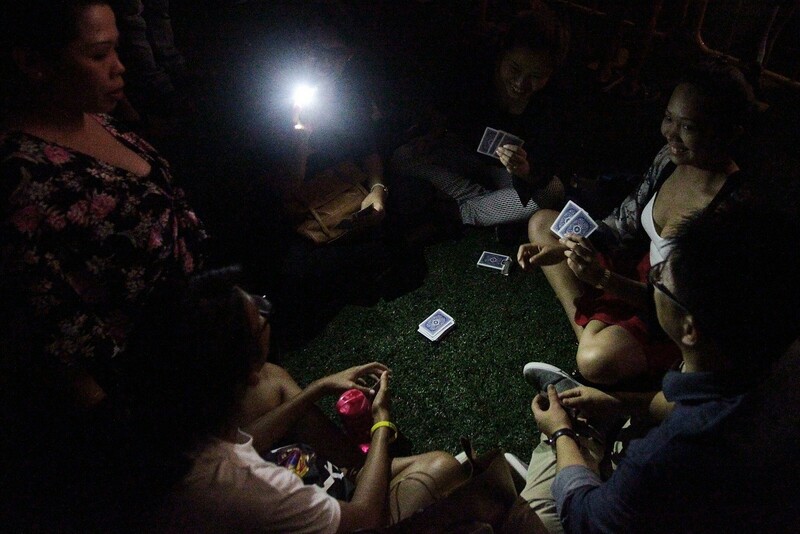 Neighbourhoods in West Coast, Hong Kah, Tampines West and Simei marked Earth Hour by asking residents to switch off their lights for the hour and attend community get-togethers. 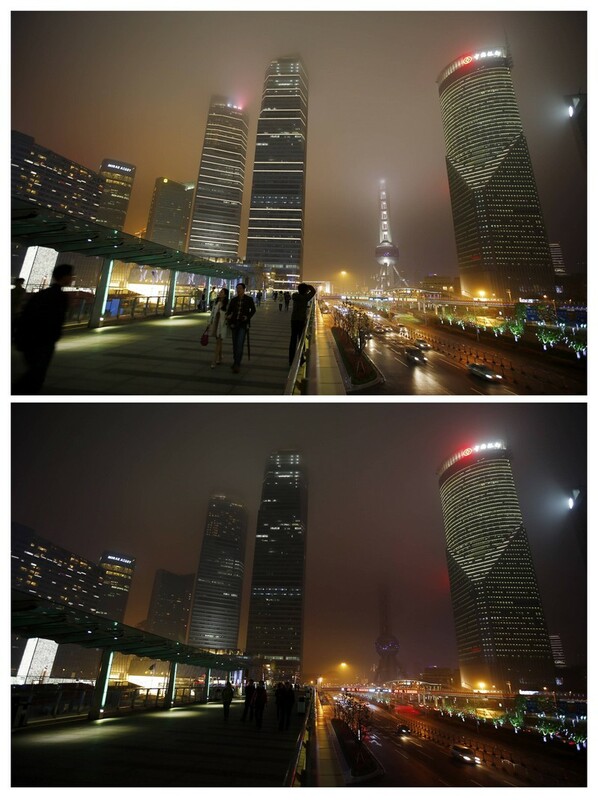 Blazing neon signs advertising some of the world's largest brands were shut off, leaving the view of the heavily vertical southern Chinese city peppered only with tiny lights from buildings' interiors. 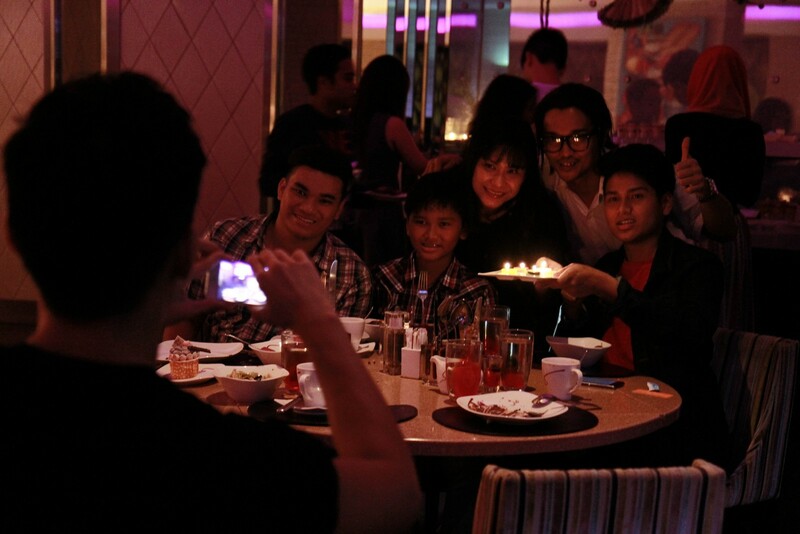 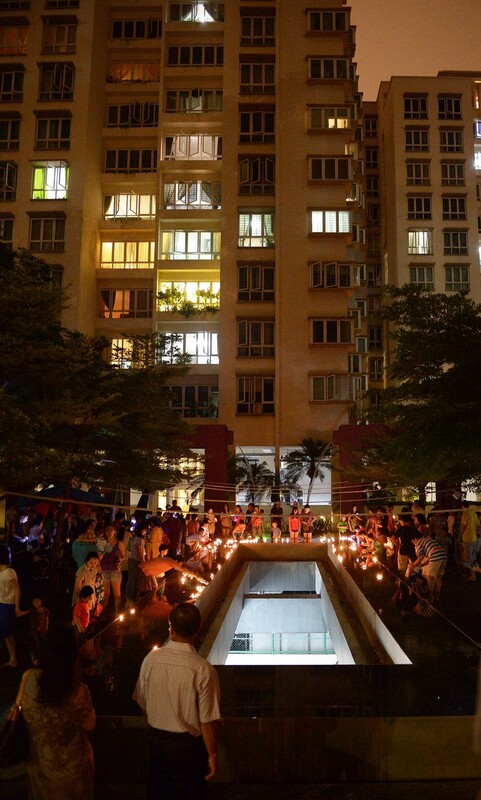 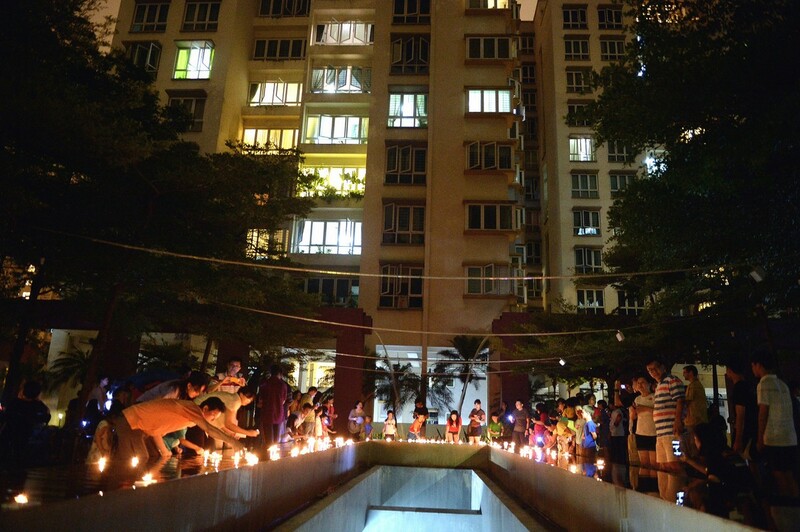 Residents of the Floravale condo lighting candles for Earth Hour on 29 March 2014. 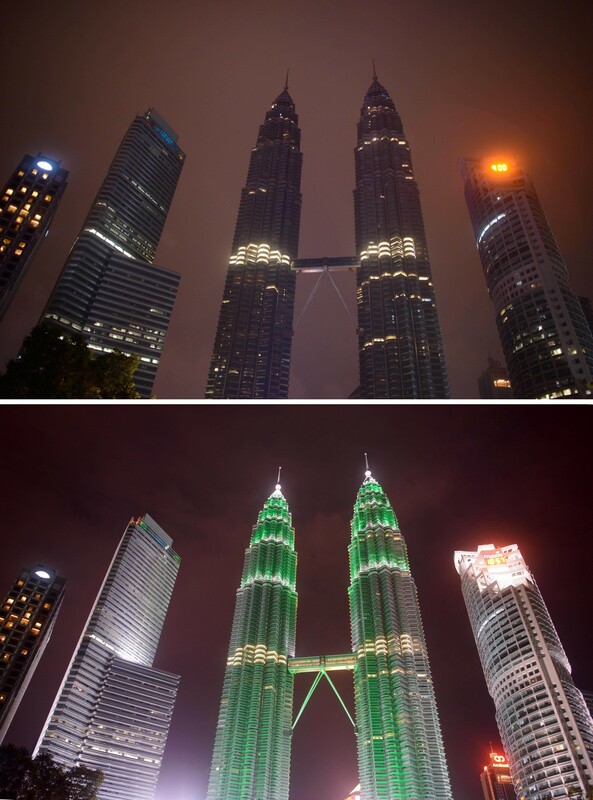 Earth Hour partnered with payments giant PayPal to allow donors to contribute to specific projects from Russia and India to Canada and Indonesia, using Asian fundraising site Crowdonomic. 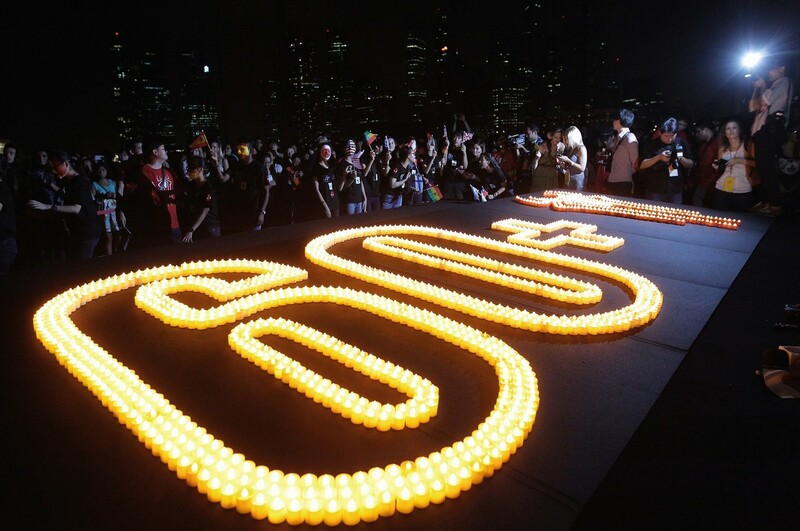 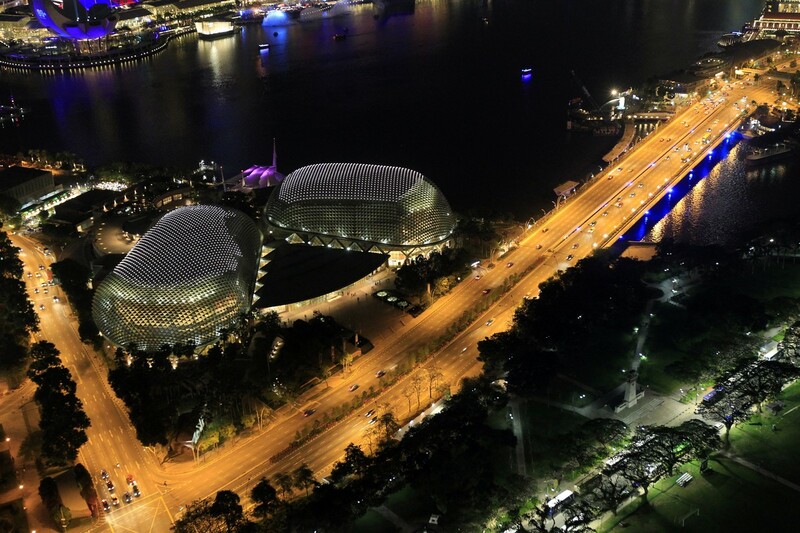 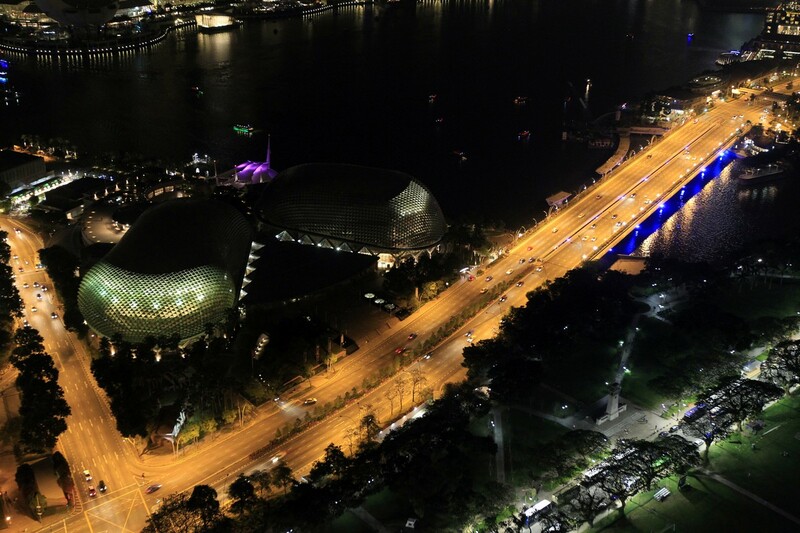 Earth Hour chief executive Andy Ridley said before the lights went off in Singapore that the event had moved beyond symbolism to concrete action. 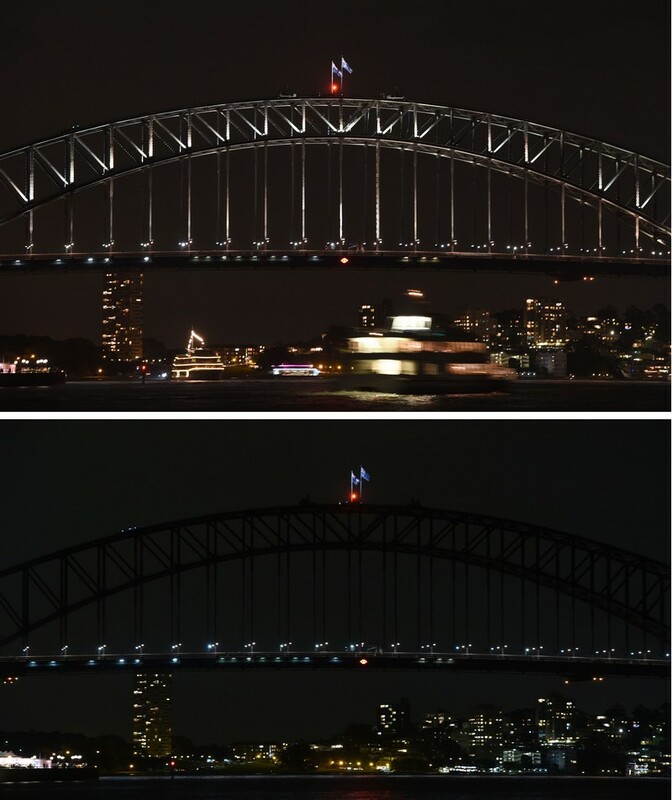 "If you want to get real social change you need to have symbolism," he told AFP. 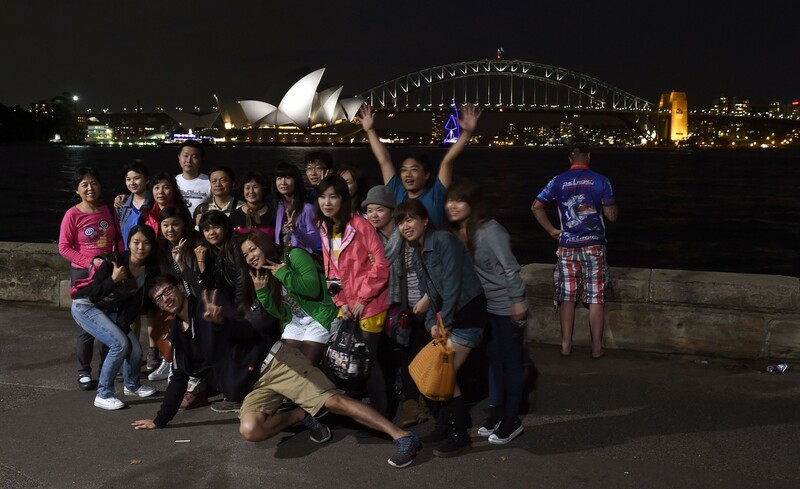 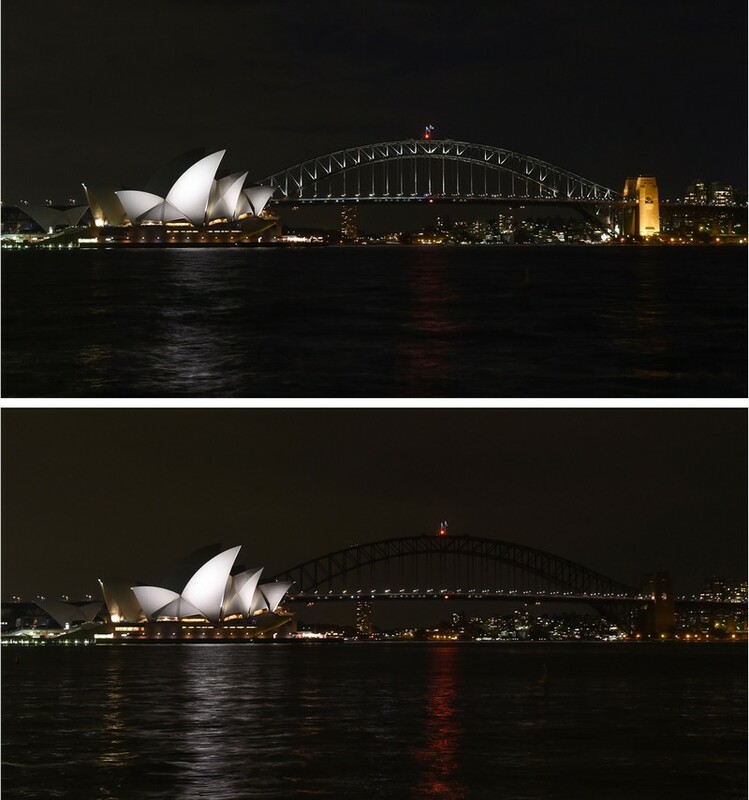 Sydney's Opera House and Harbour Bridge were among the first landmarks around the world to dim their lights for 60 minutes during Saturday's event. 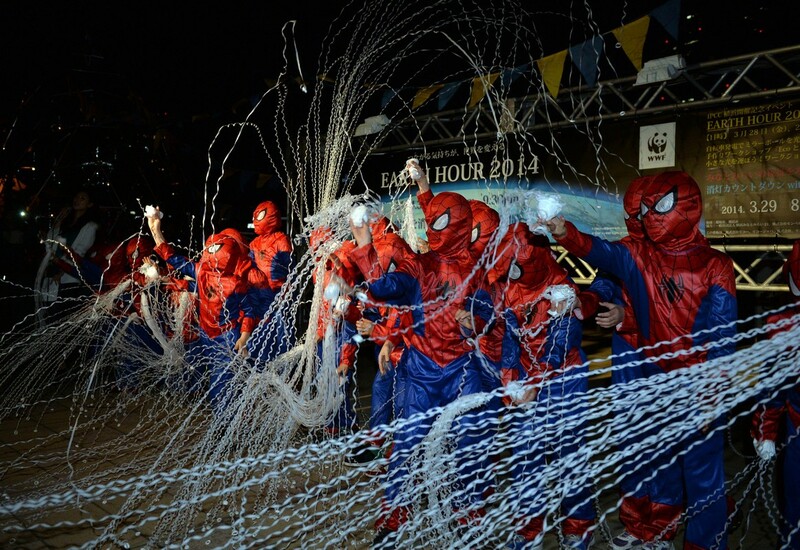 An estimated 7,000 cities and towns from New Zealand to New York are taking part. 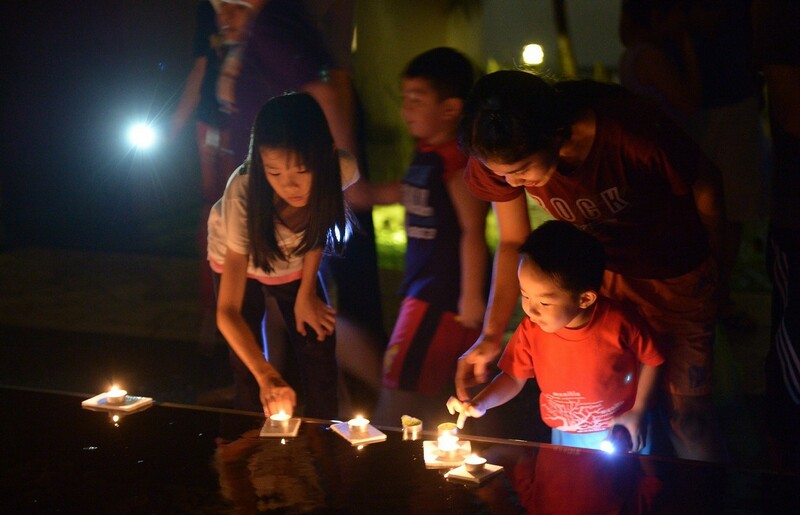 Projects under the "Earth Hour Blue" crowdfunding scheme - which aim to raise more than $650,000 in total - include a turtle centre in Italy and funding for forest rangers in Indonesia. 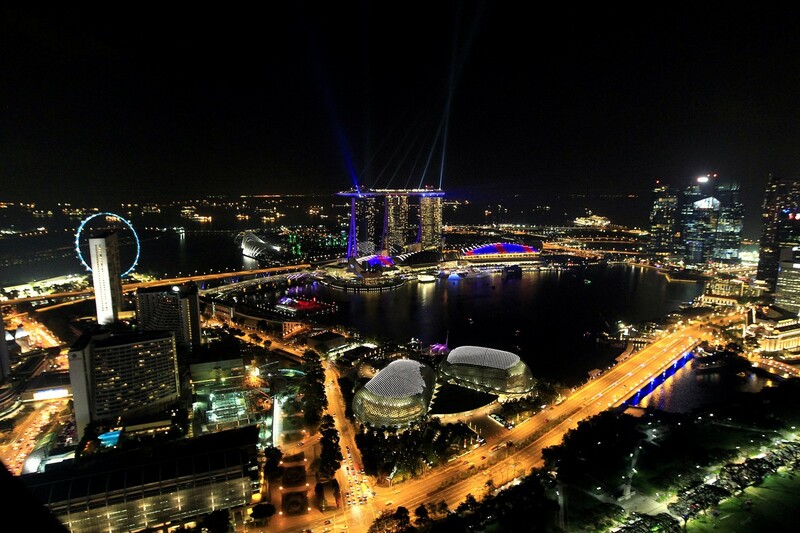 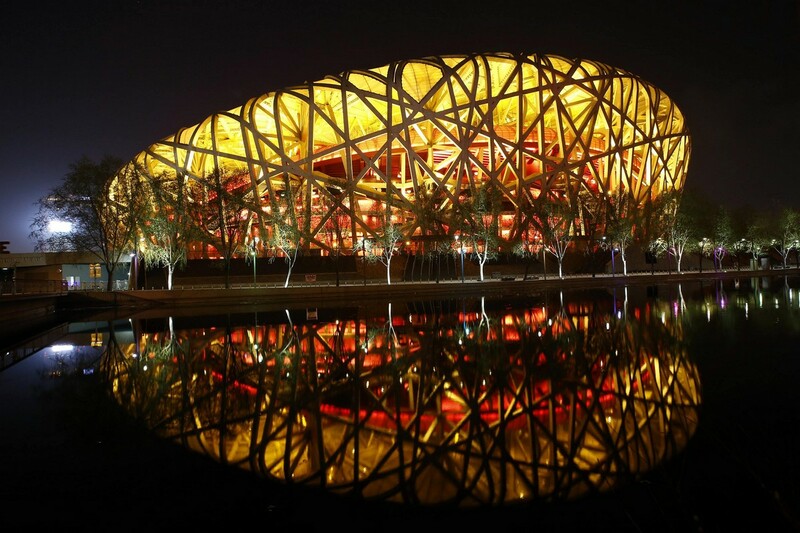 The event is being marked in more than 150 countries, organisers said, estimating that thousands of cities and towns would have taken part by the time the ceremonies began in Singapore. 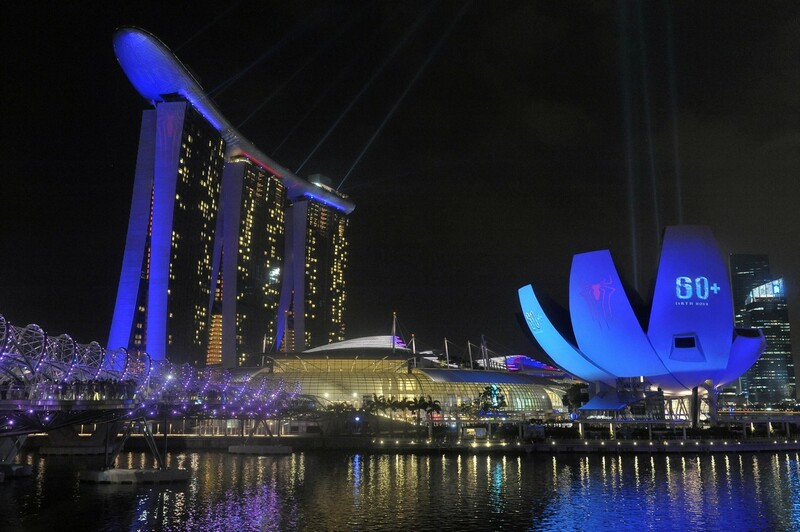 The projects seeking crowdfunding include a 24,000-dollar effort in the Philippines to bring fibreglass boat technology to coastal communities affected by super typhoon Haiyan in November last year. 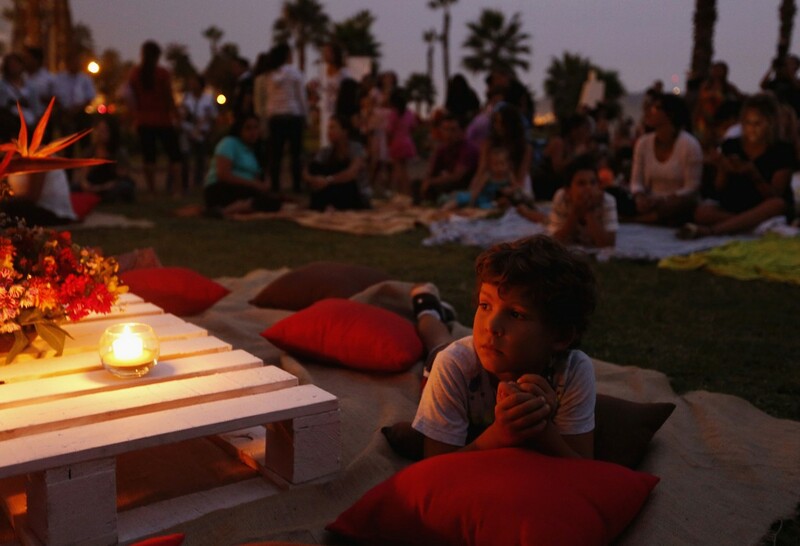 In Nepal, $100,000 is being sought for a programme called "A Flame Called Hope" to provide access to biogas energy for 150 households in the Terai region, reducing the need for wood as fuel and helping protect the habitat of endangered wildlife, according to the Earth Hour website. 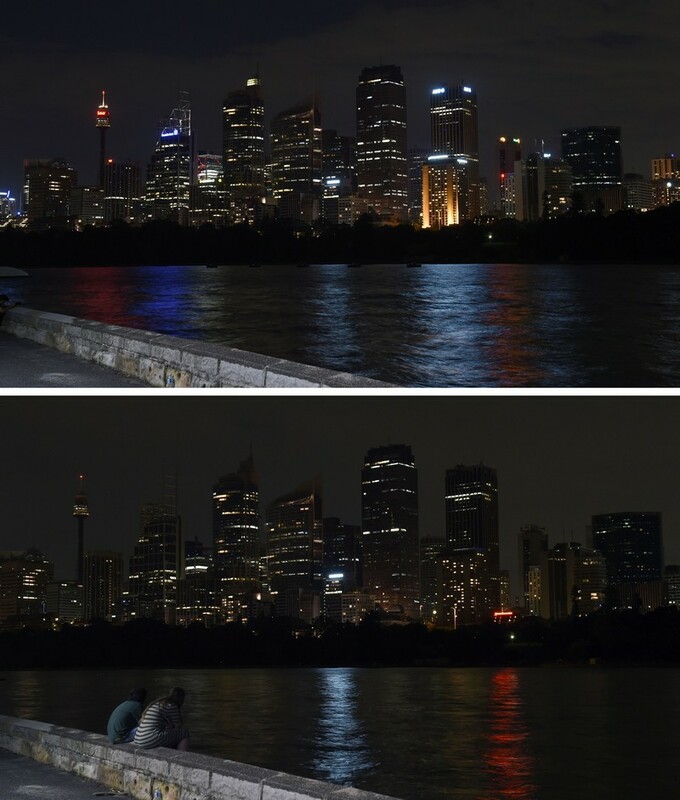 The central business district of Sydney skyline is seen plunged into darkness for the Earth Hour environmental campaign. 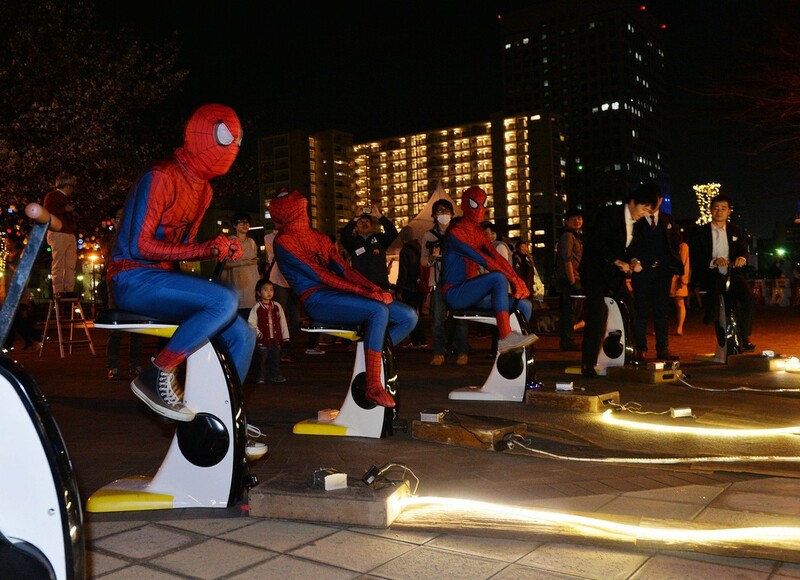 Spiderman-2 star Garfield told journalists that he was a personal supporter of the Nepal project. 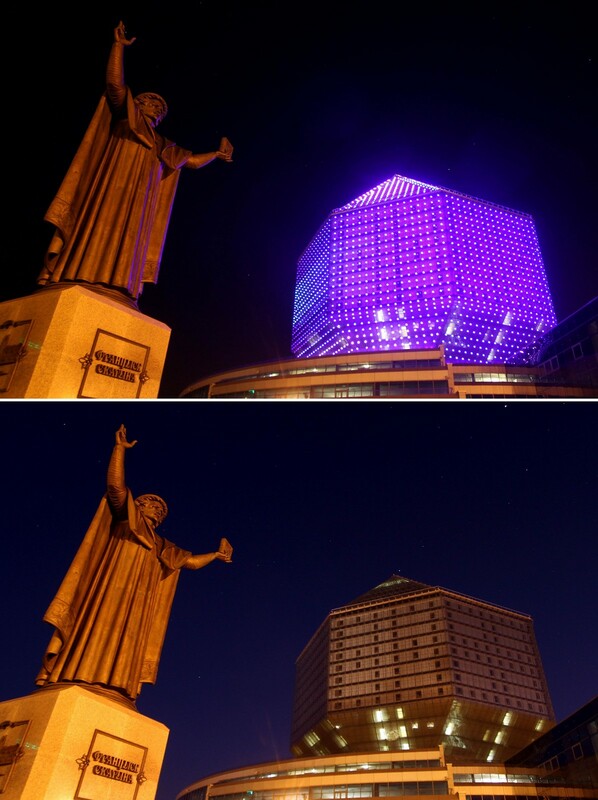 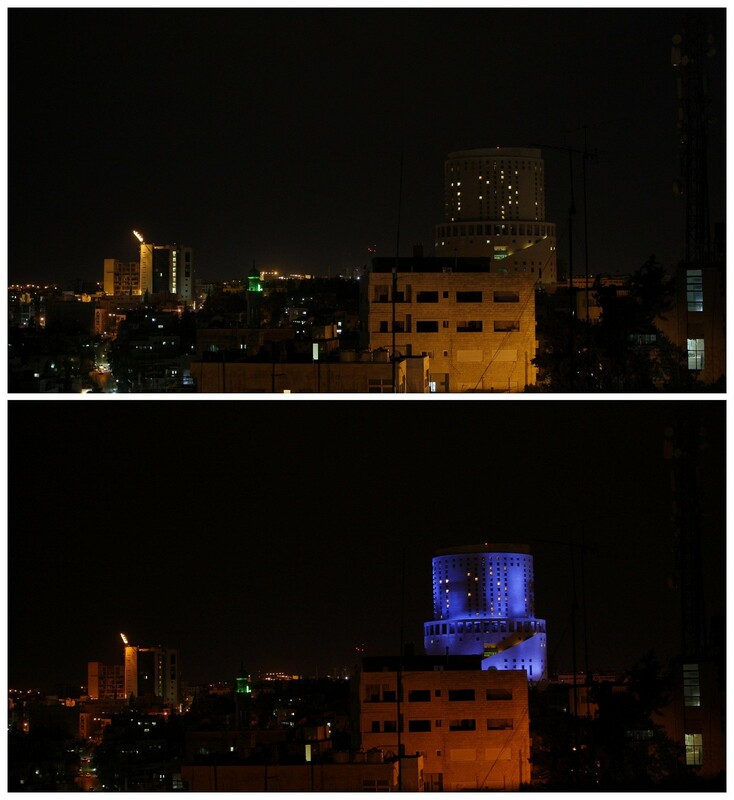 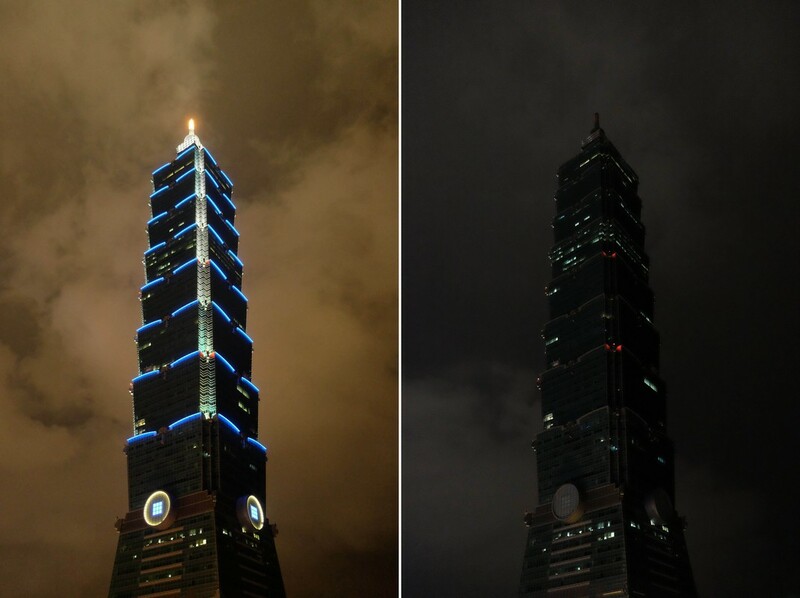 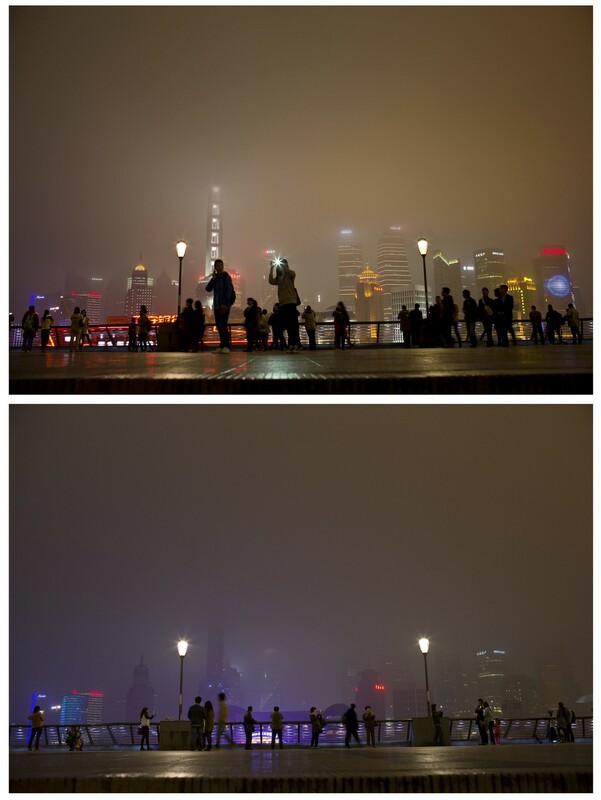 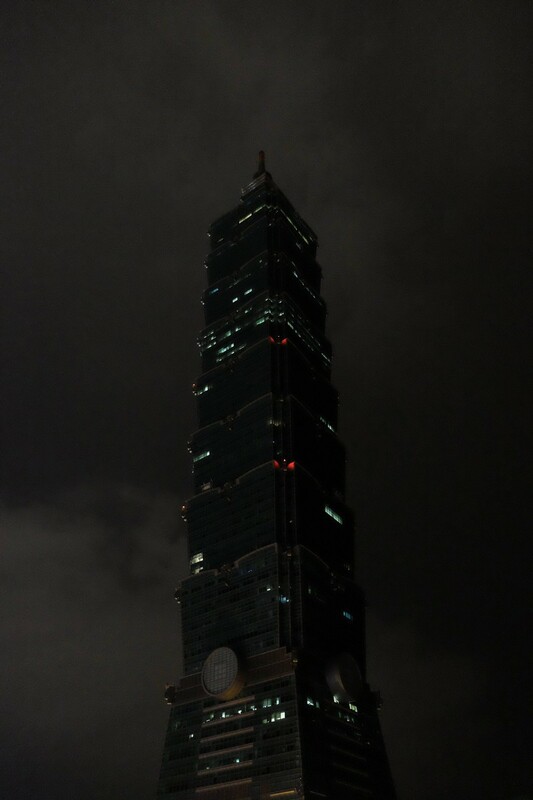 This combination image of two photographs shows the landmark Taipei 101 building before (L) and after (R) its lights were turned off in observation of Earth Hour in Taipei. 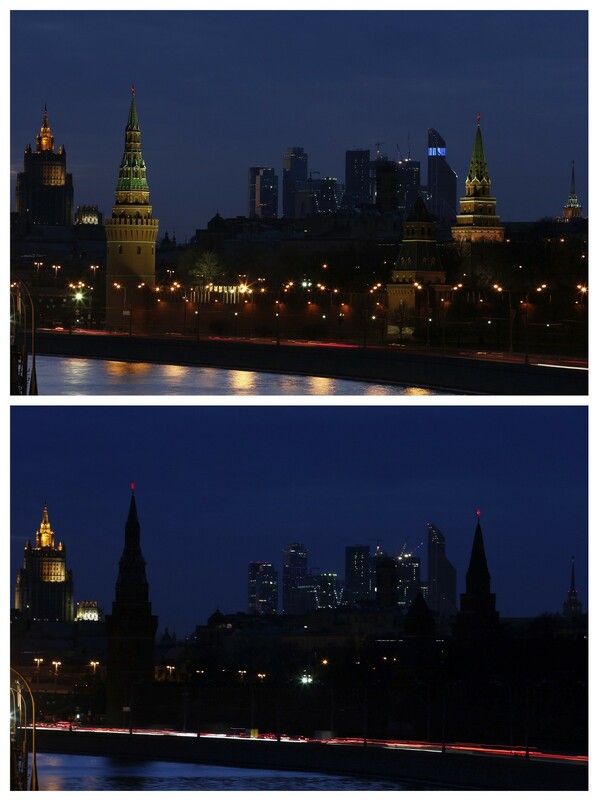 Earth Hour will see other landmarks including the Empire State Building in New York, the Eiffel Tower in Paris and the Kremlin in Moscow switch off their lights for an hour starting at 8:30 pm local time on Saturday. 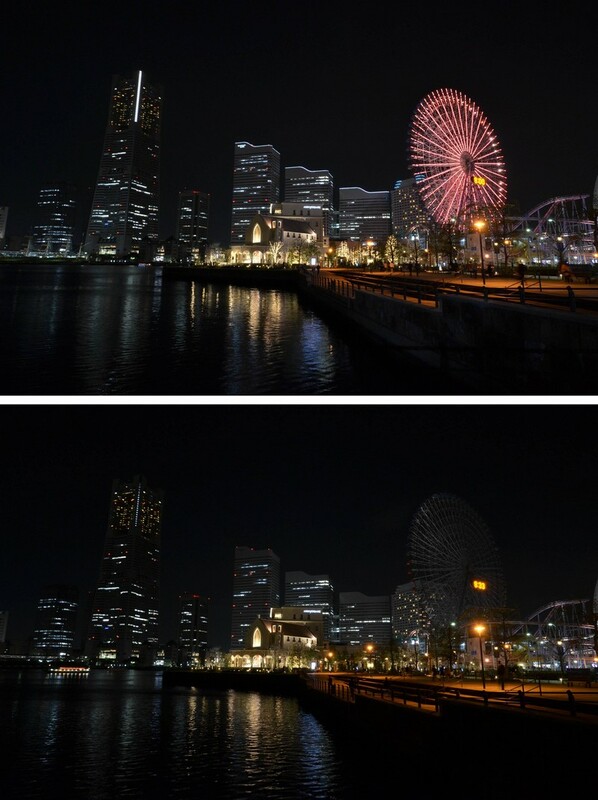 This combo picture shows Yokohama city's landmarks Landmark Tower (L) and a Ferris wheel (R) being submerged into darkness for the Earth Hour environmental campaign in Yokohama. 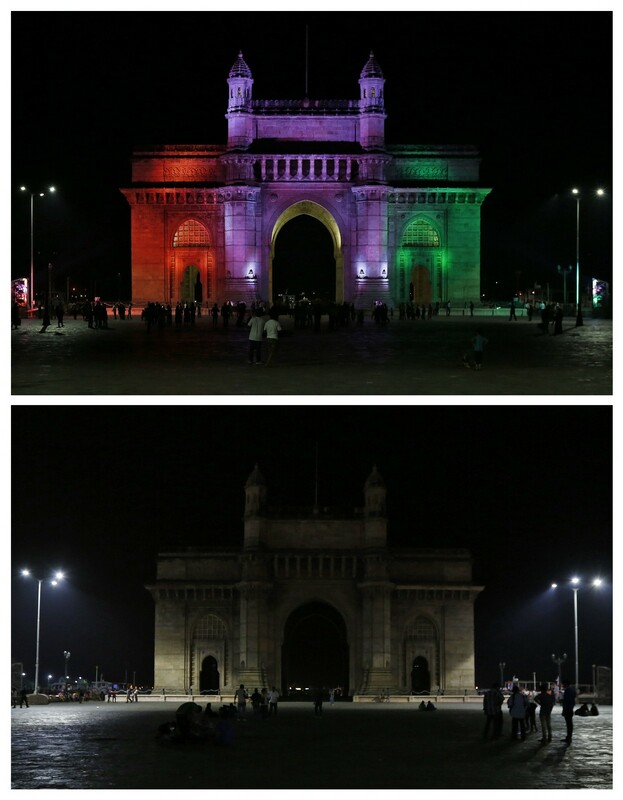 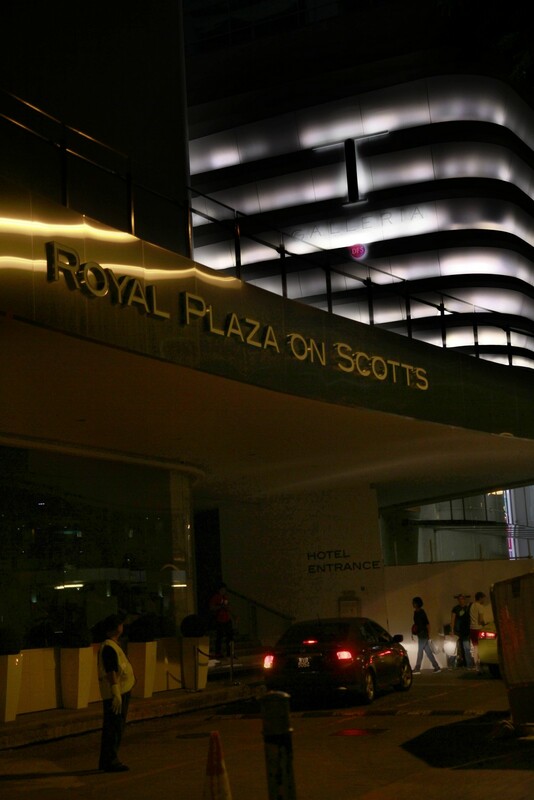 Royal Plaza on Scotts supported Earth Hour 2014 by switching off lights in the hotel for an hour as a gesture of its commitment to protecting the planet. 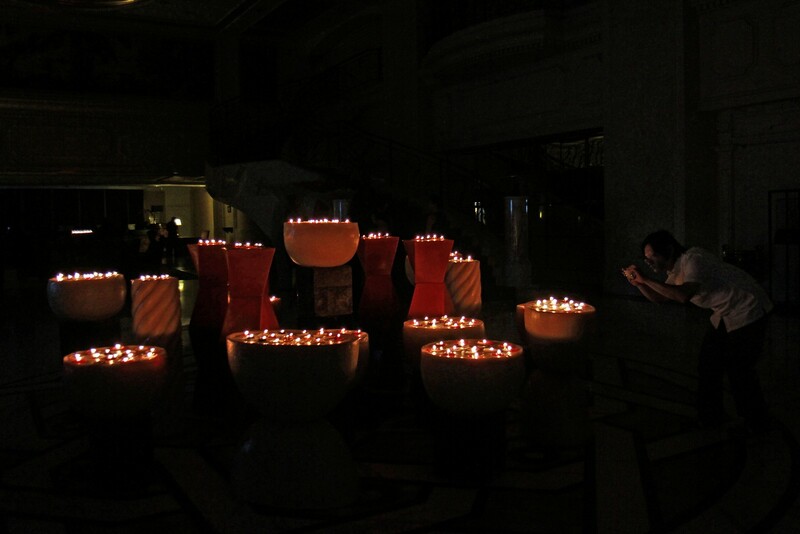 Lights in various parts of the hotel such as the lobby, corridors and its award-winning restaurant, Carousel, were dimmed or switched off from 8.30pm to 9.30pm in support of the worldwide movement. 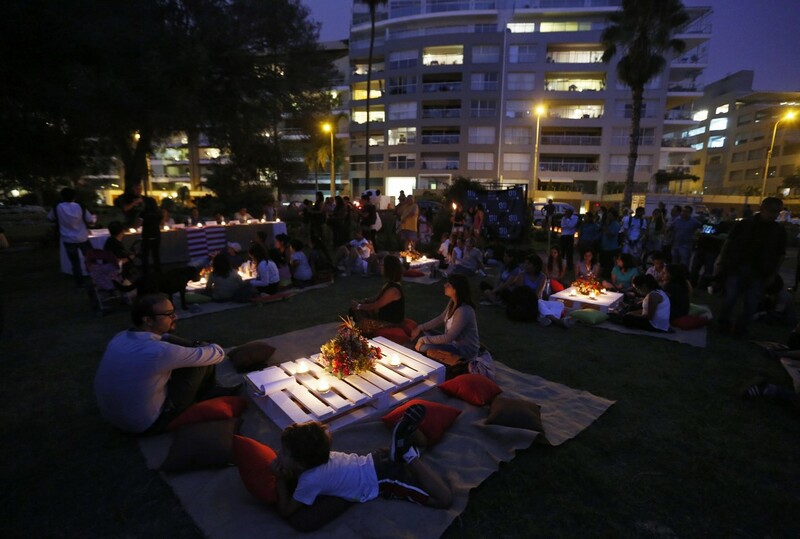 In-house guests were encouraged to do their part by switching off the electrical devices in their rooms, and diners at Carousel lit environmentally-friendly soy candles on their tables.